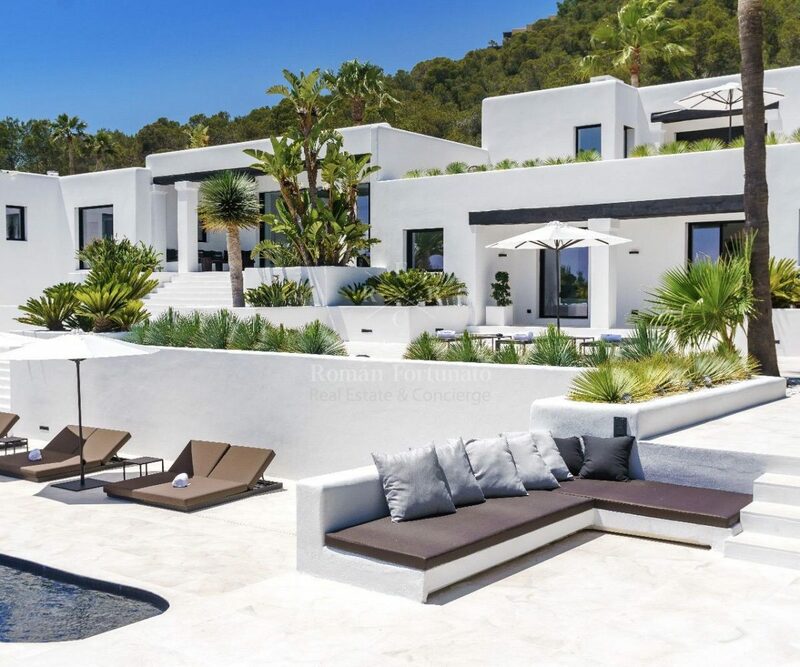 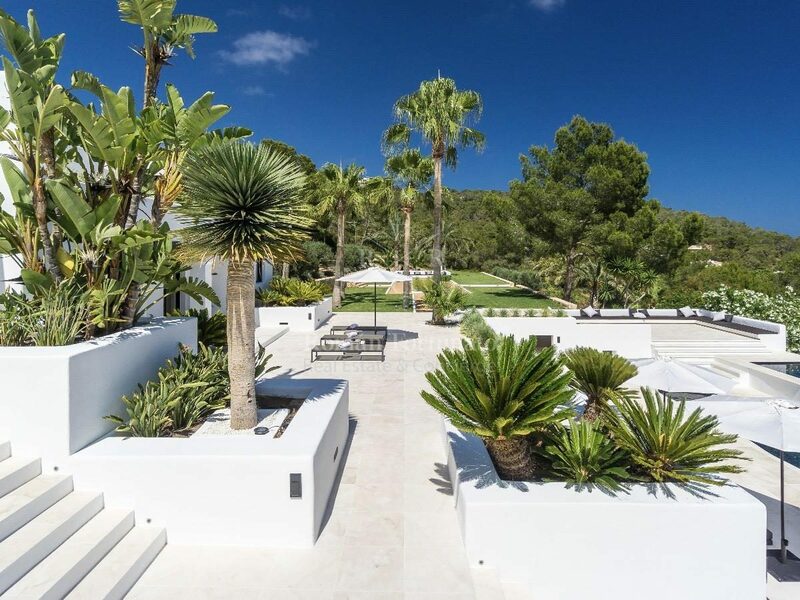 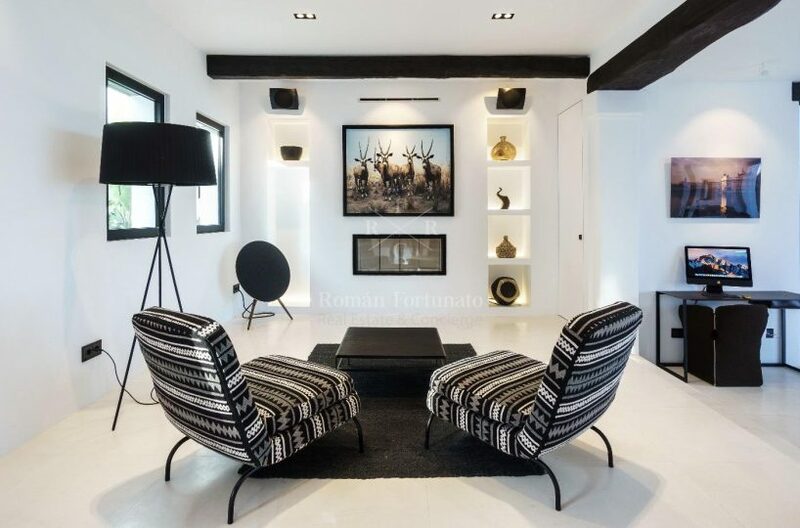 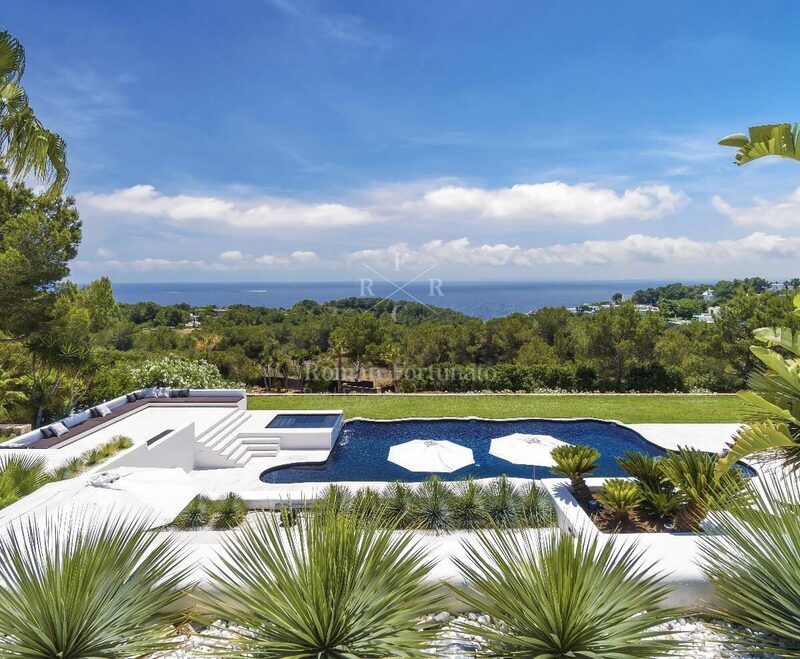 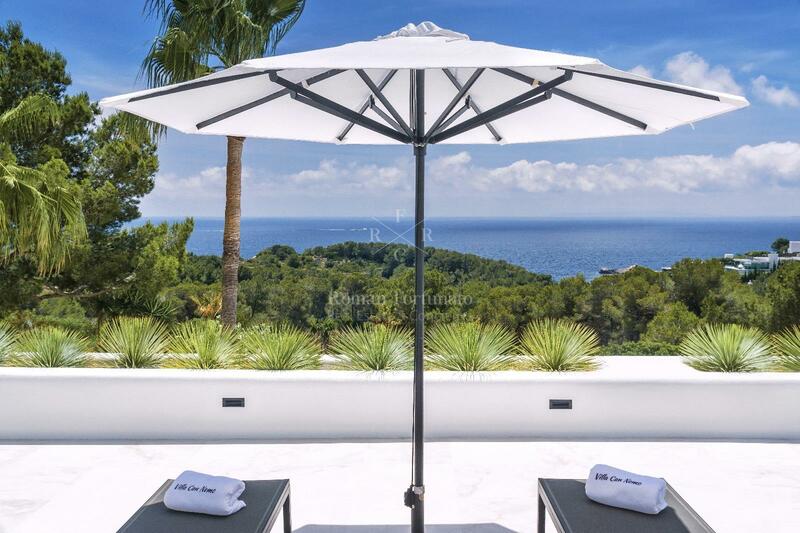 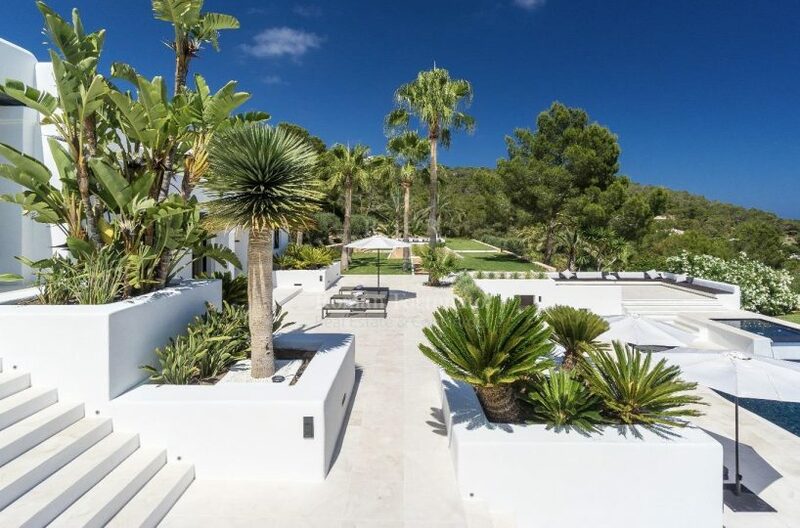 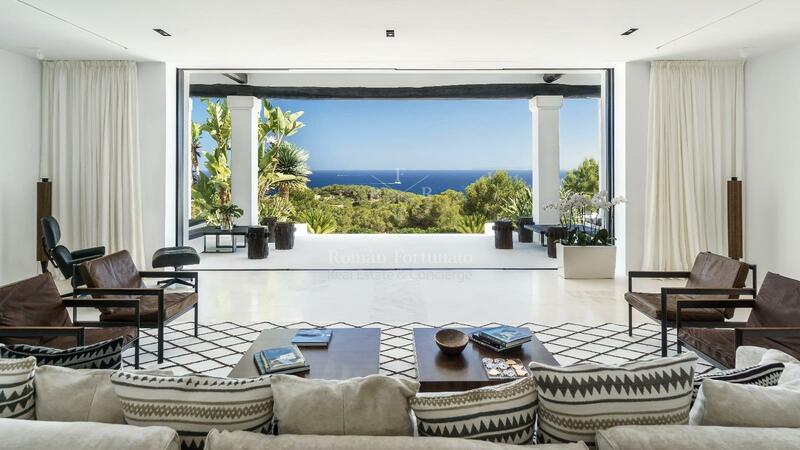 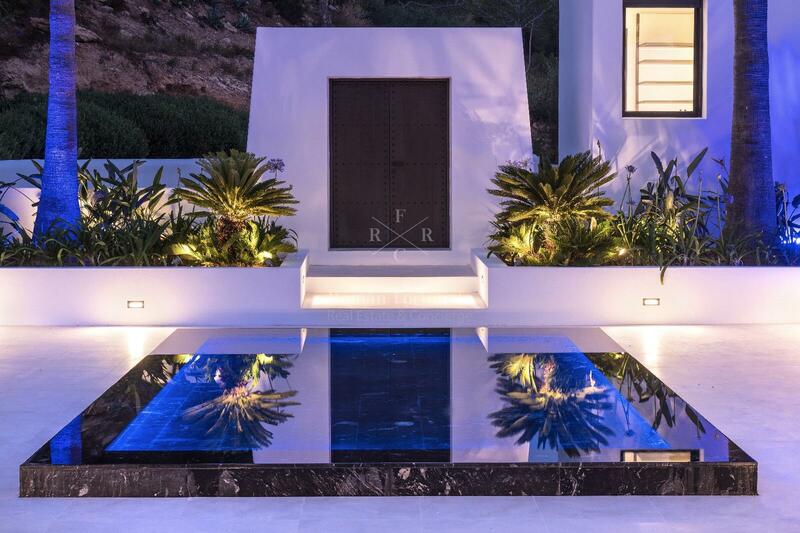 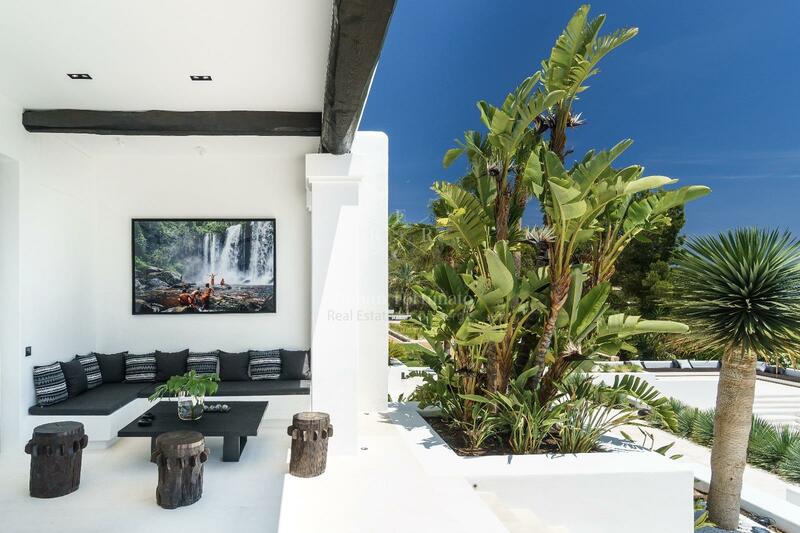 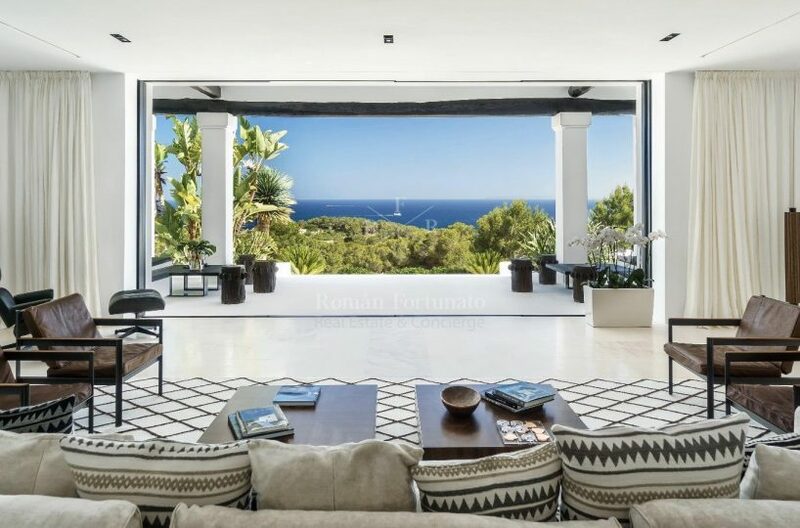 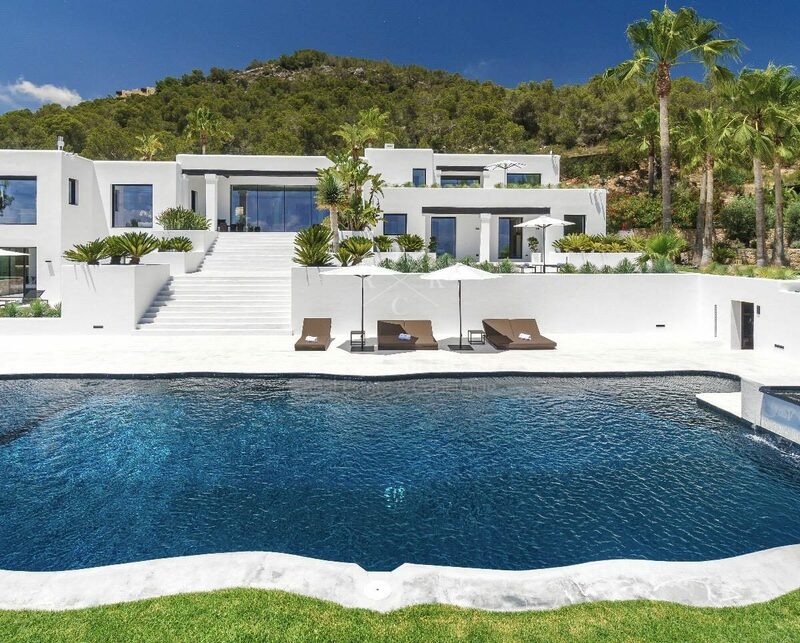 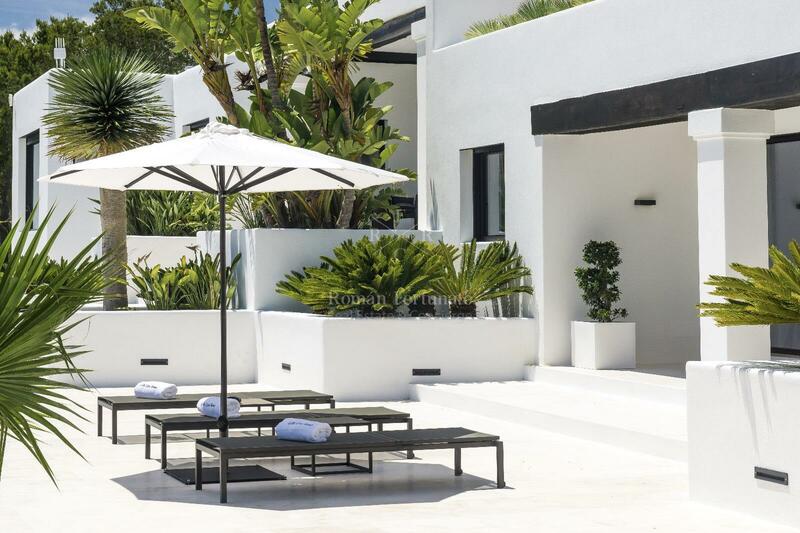 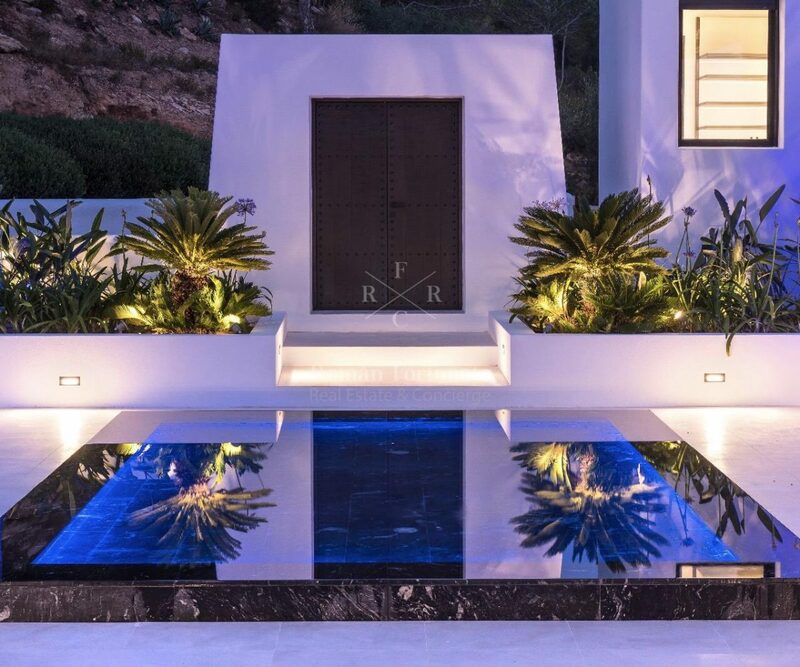 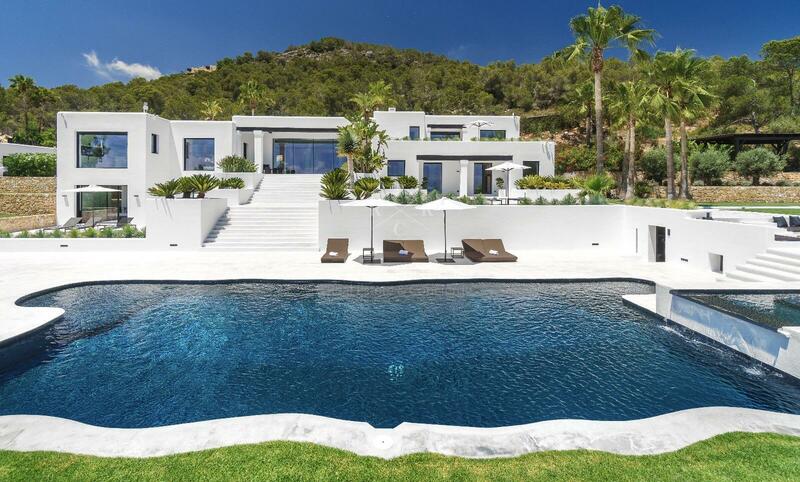 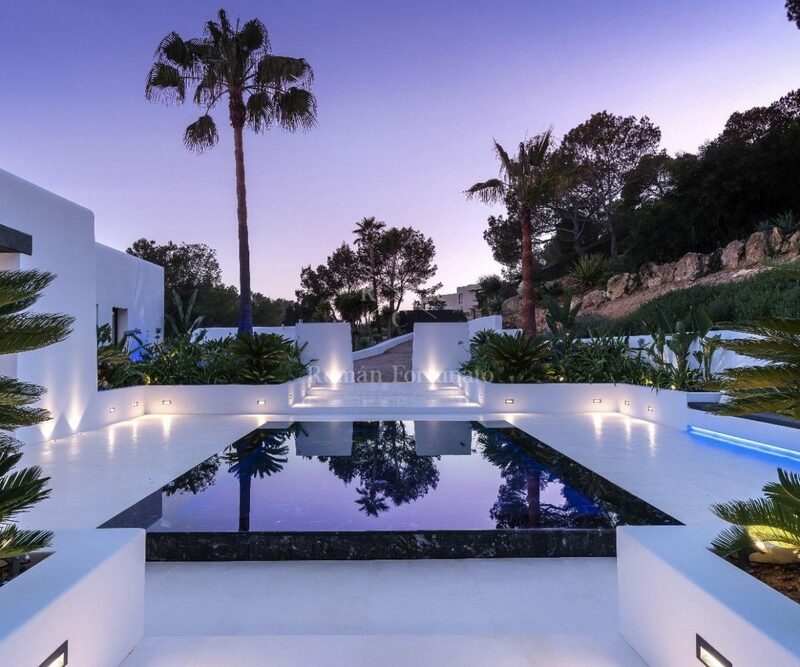 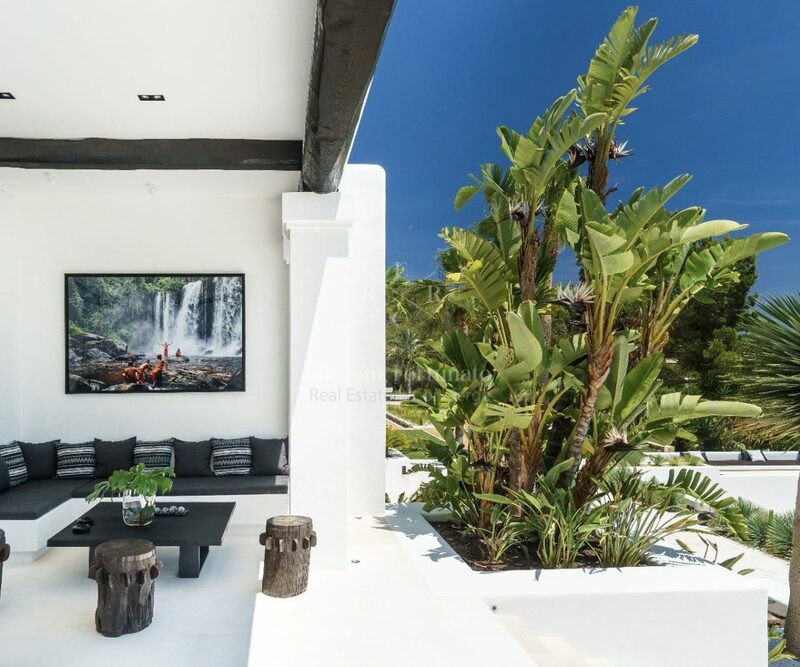 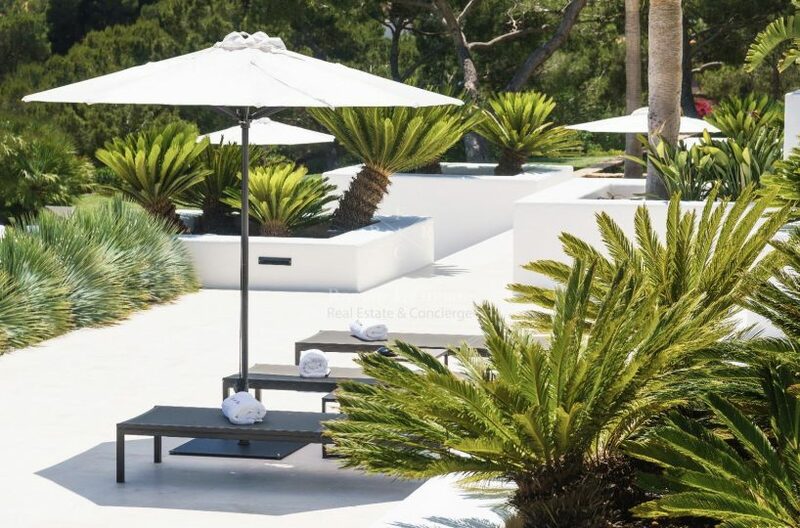 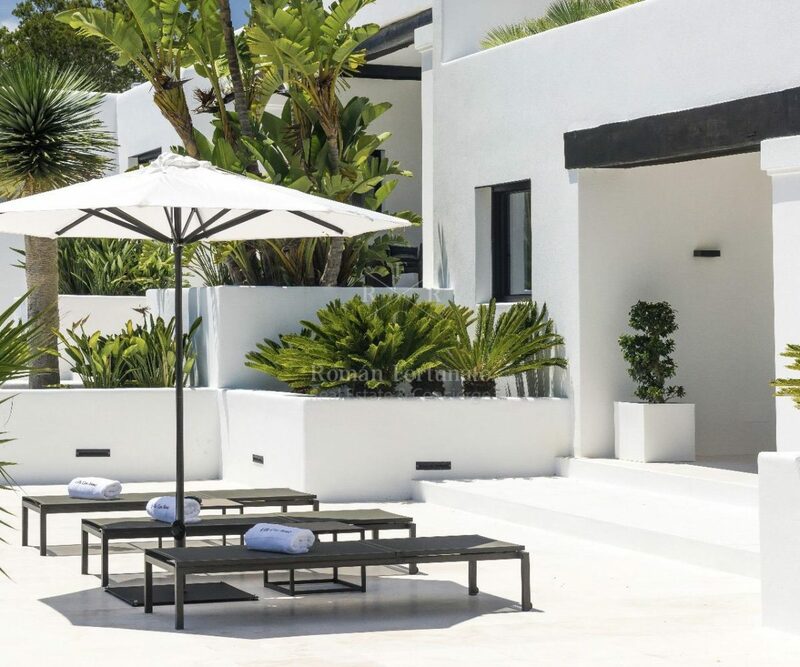 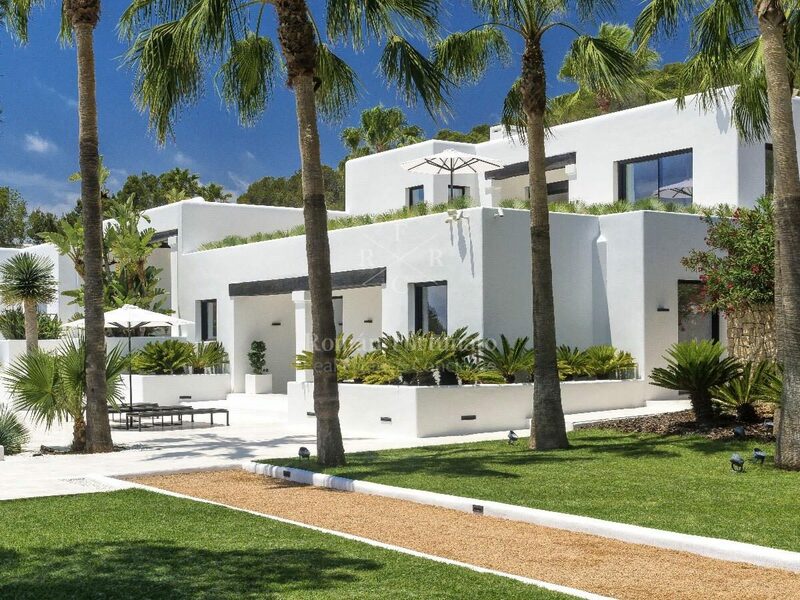 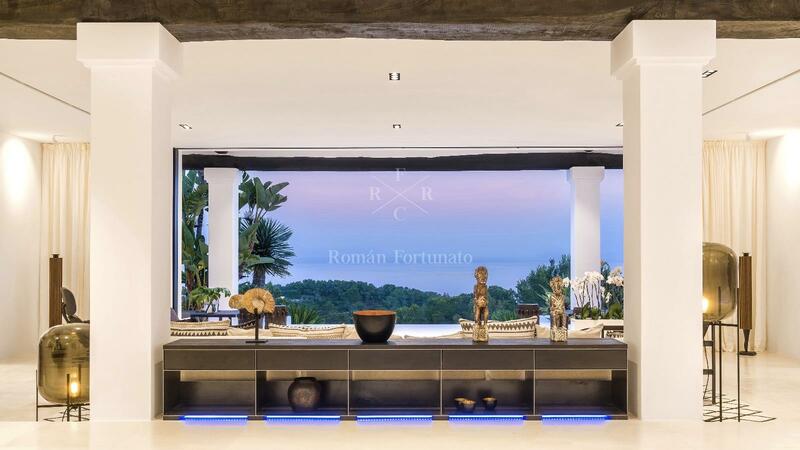 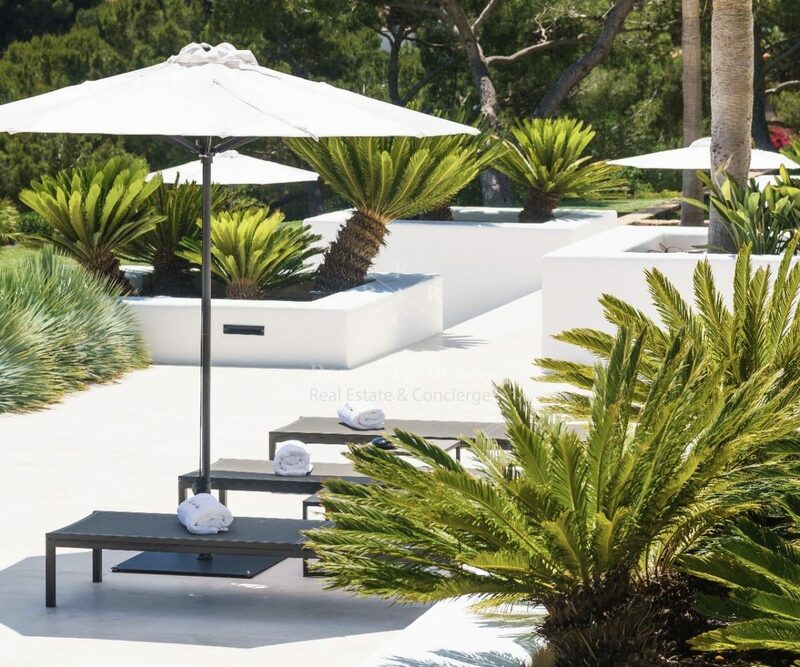 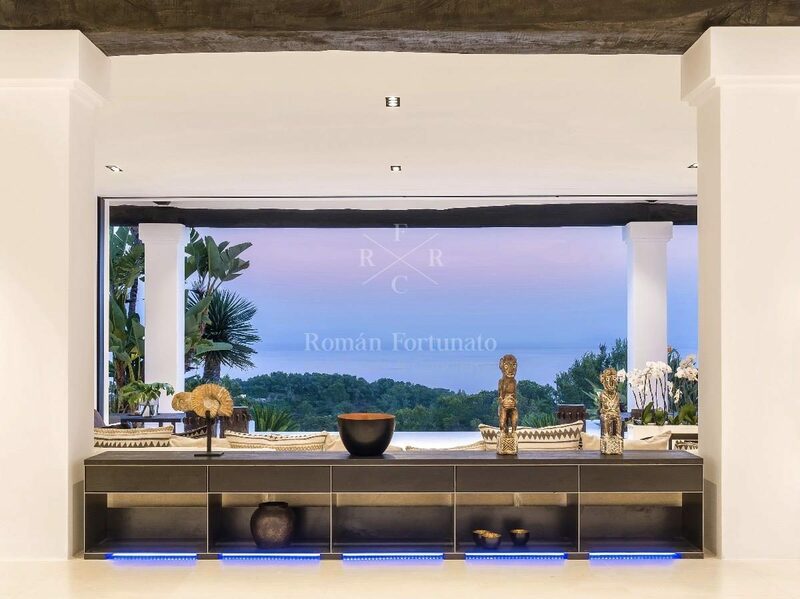 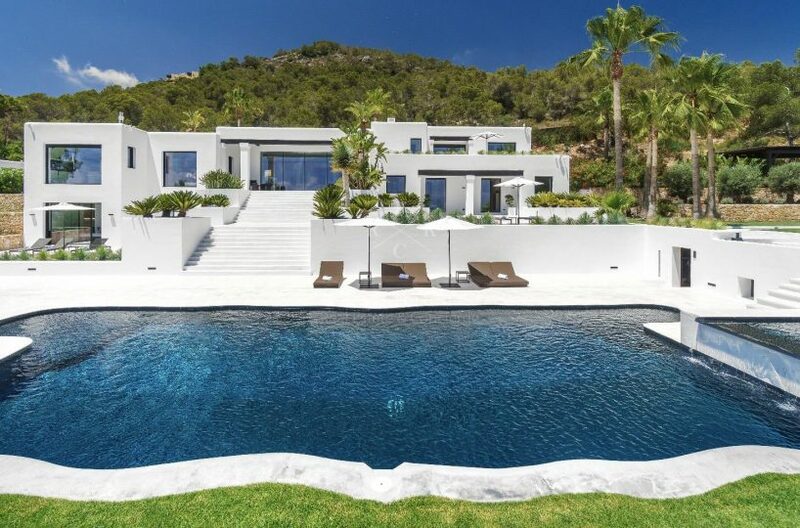 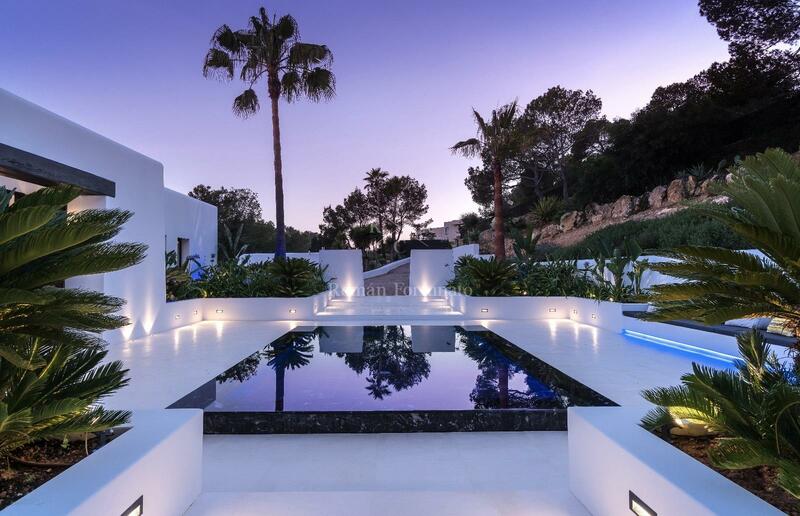 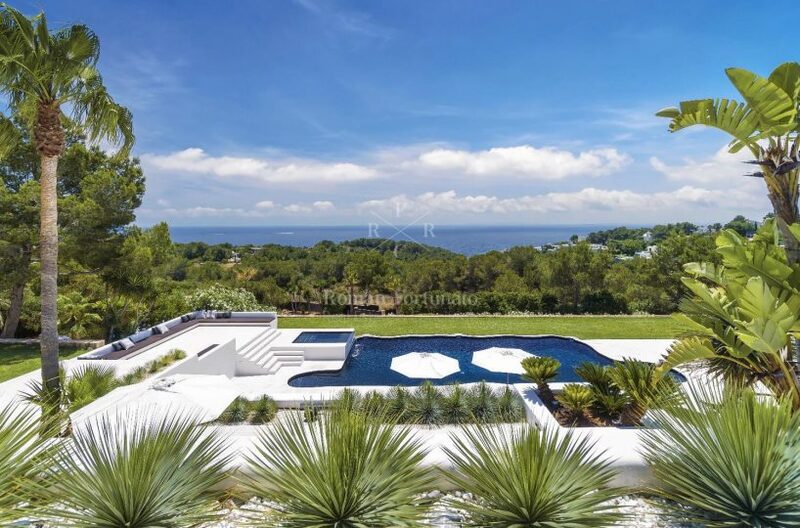 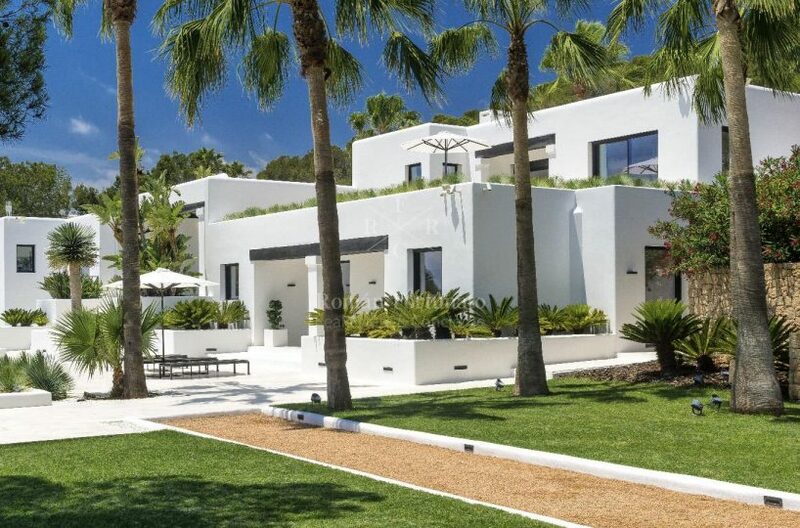 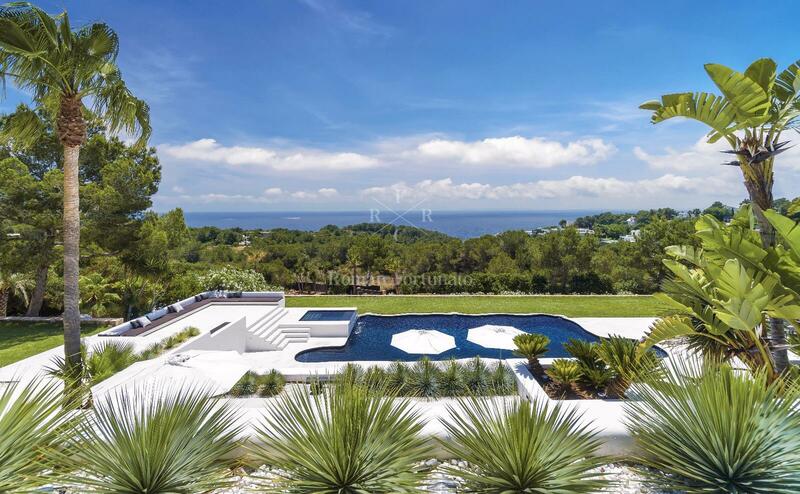 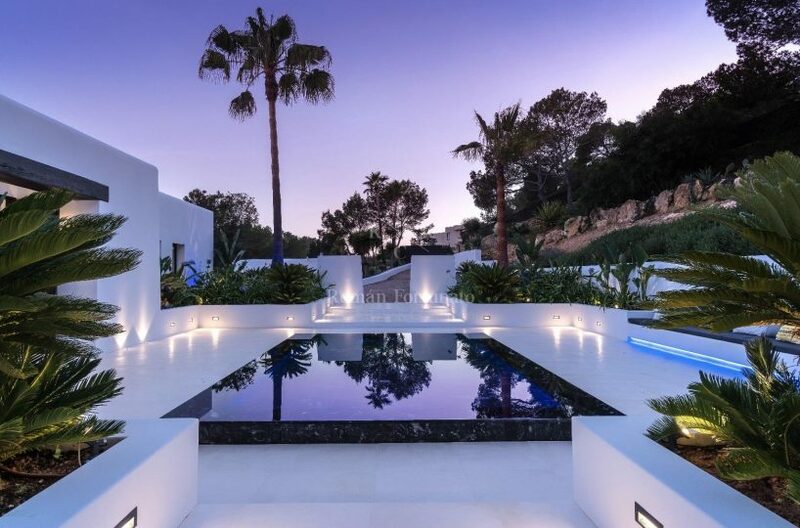 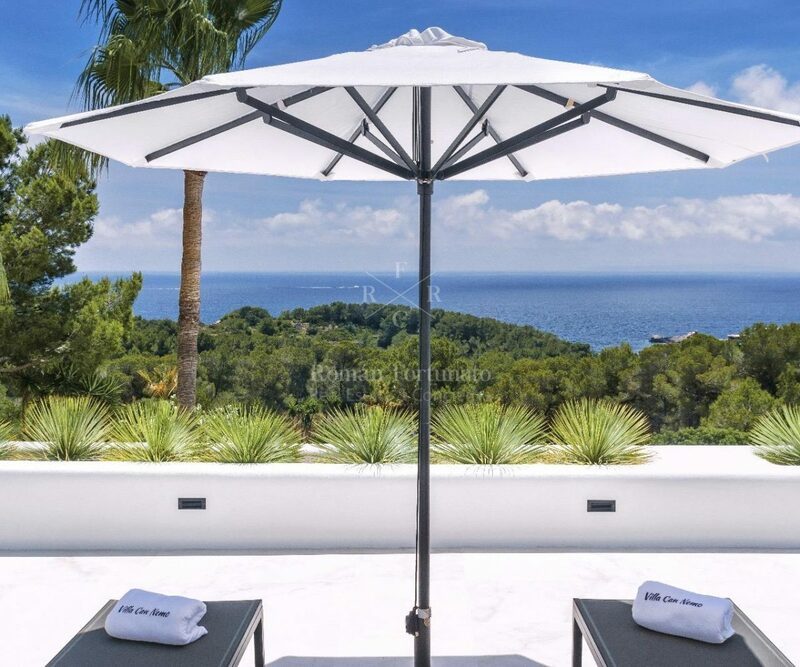 This exclusive, large and secluded property is situated on a hill top only 450 meters away from the sea with a spectacular view to the open sea and the island of Formentera. 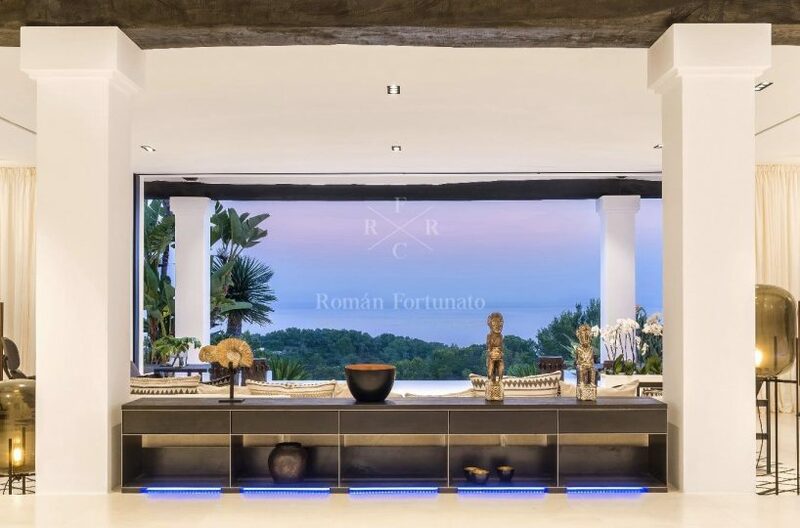 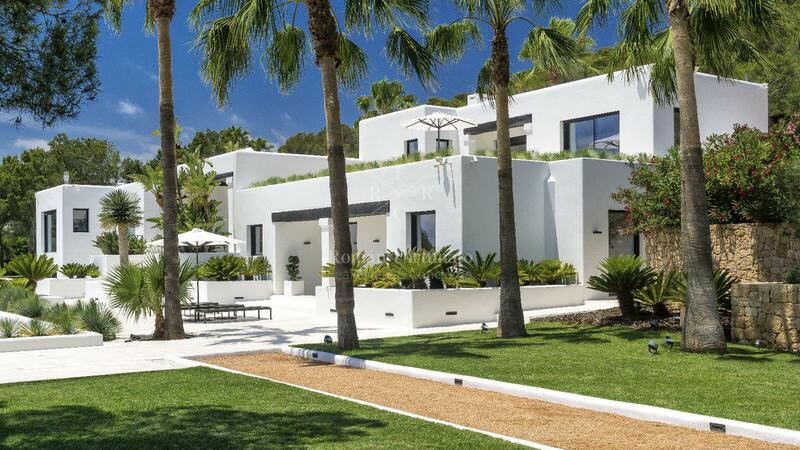 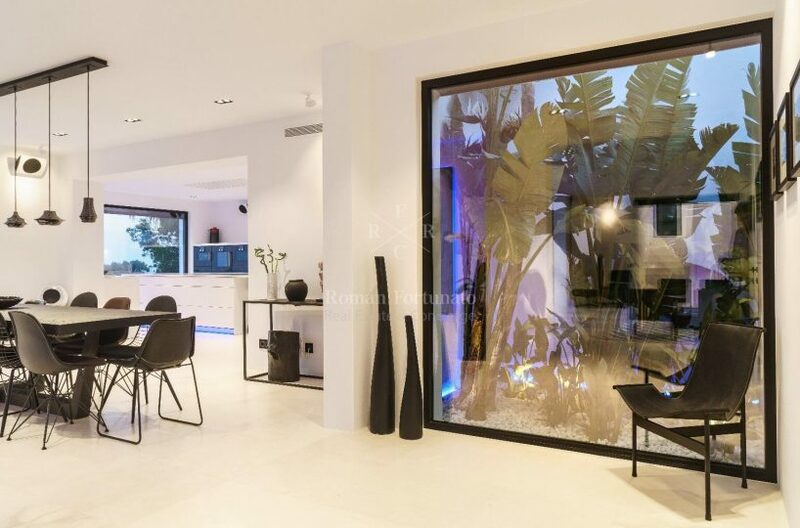 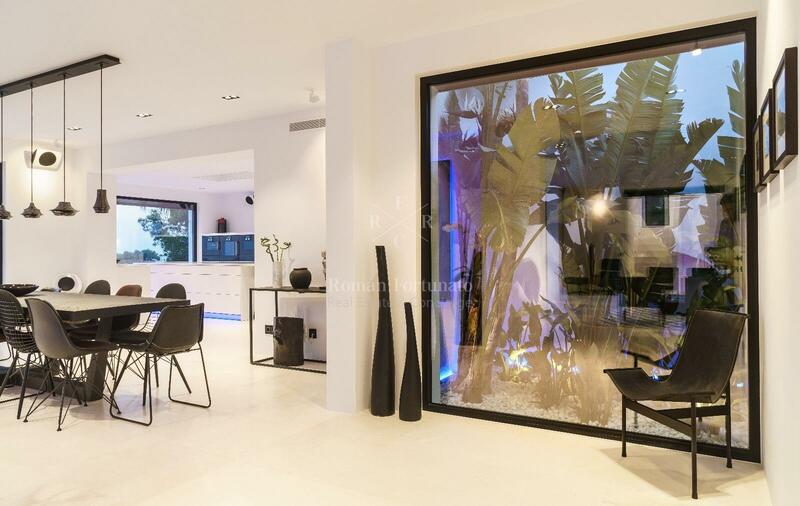 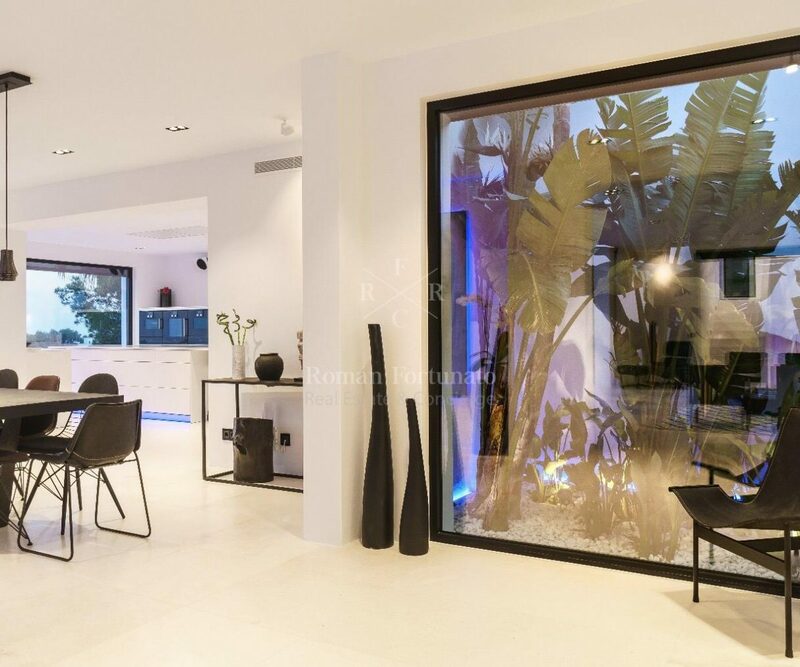 The property of 435 sqm is located in a quiet neighbourhood adjacent to Cap Martinet and the village of Jesus. 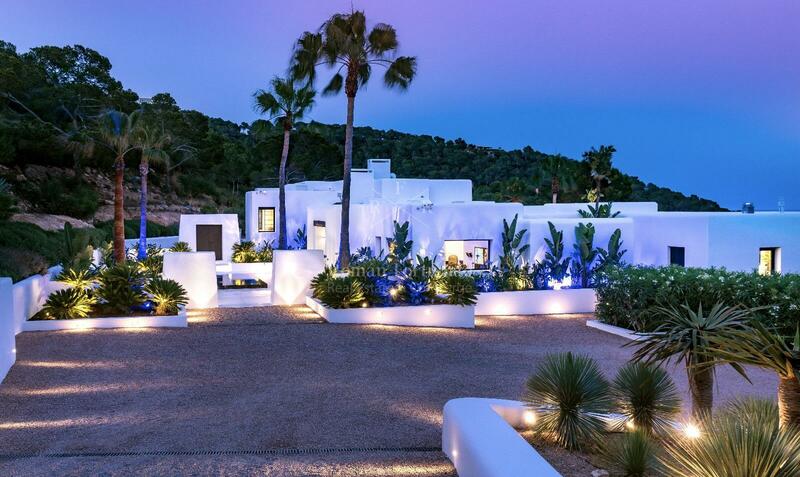 Some of Ibiza’s best hotspots and secluded beaches are just a few minutes walk. 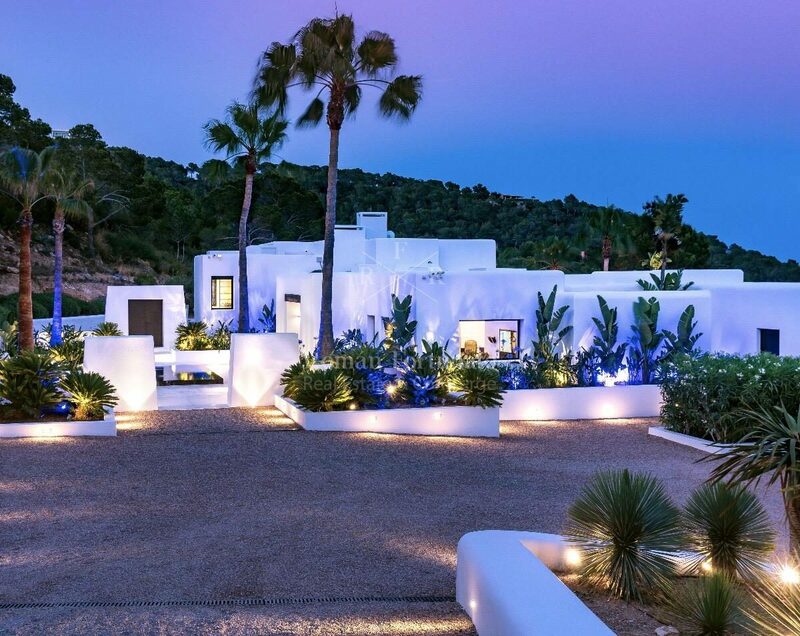 Ibiza town can be reached within a short 5 minutes drive. 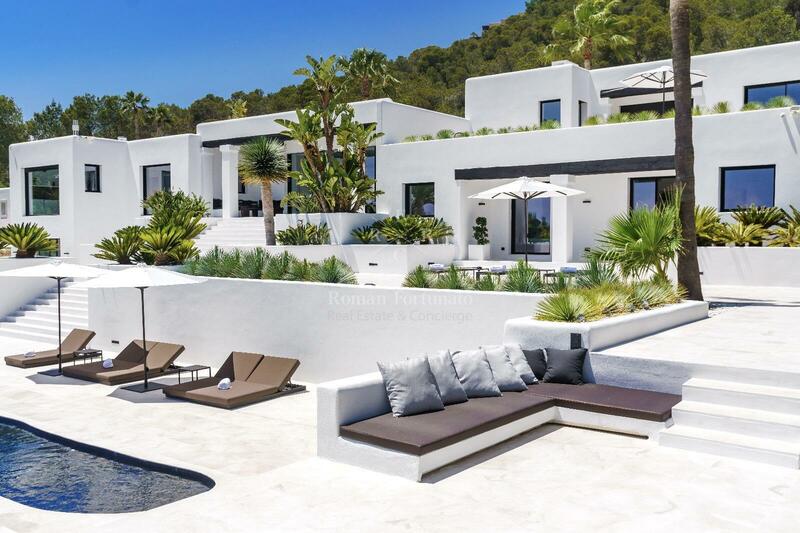 The Pacha Destino Resort is just 800 meters away, an upscale party ground basically to be reached in walking distance. 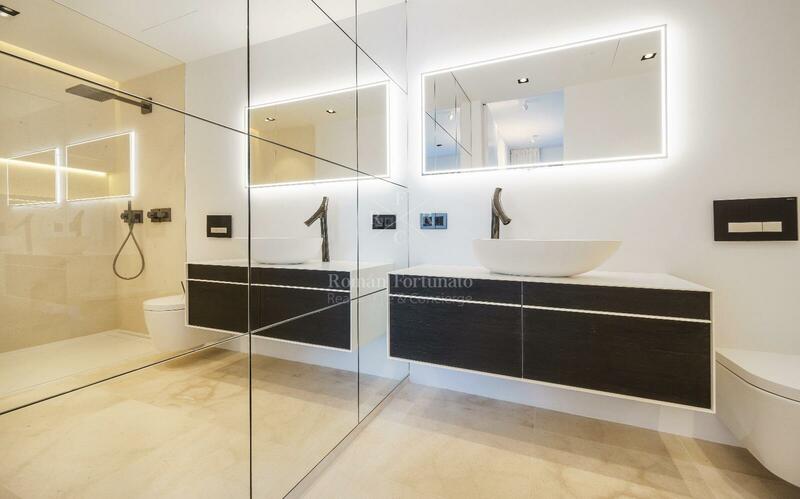 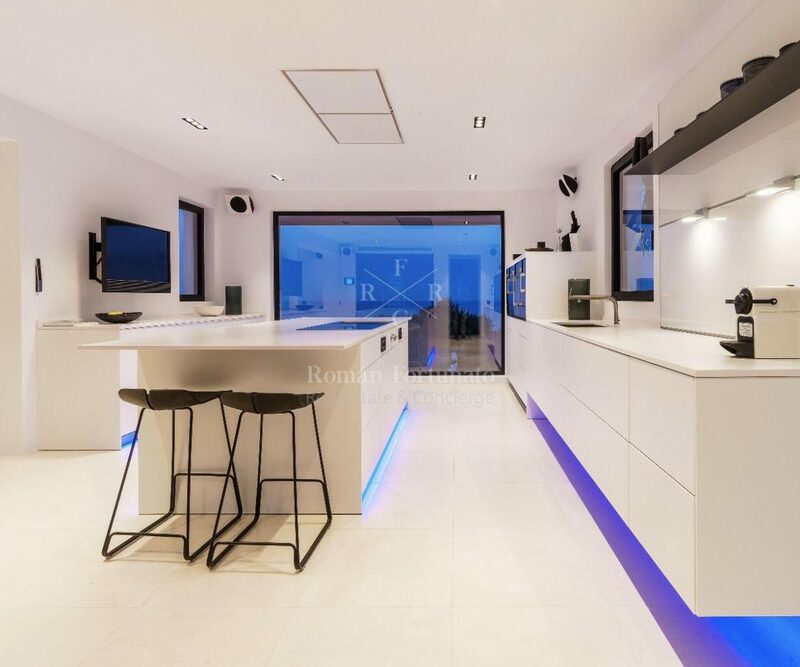 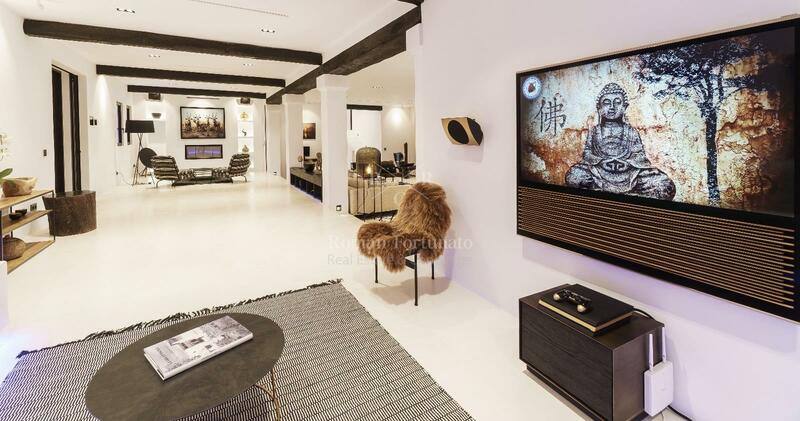 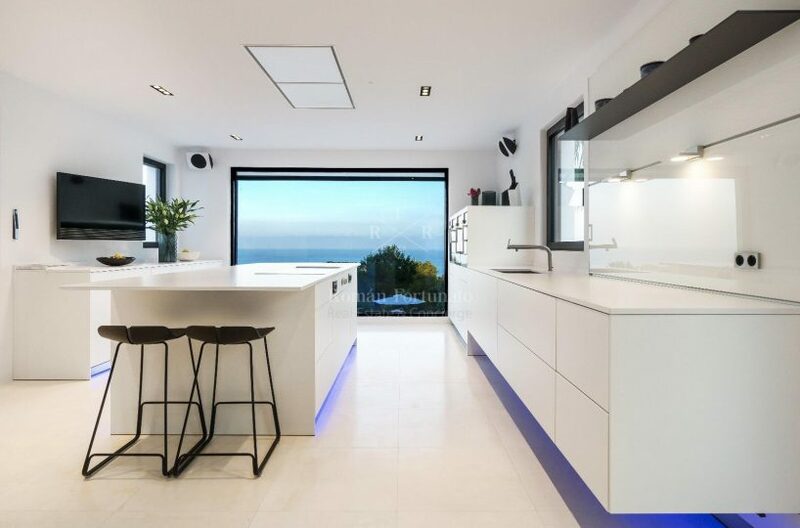 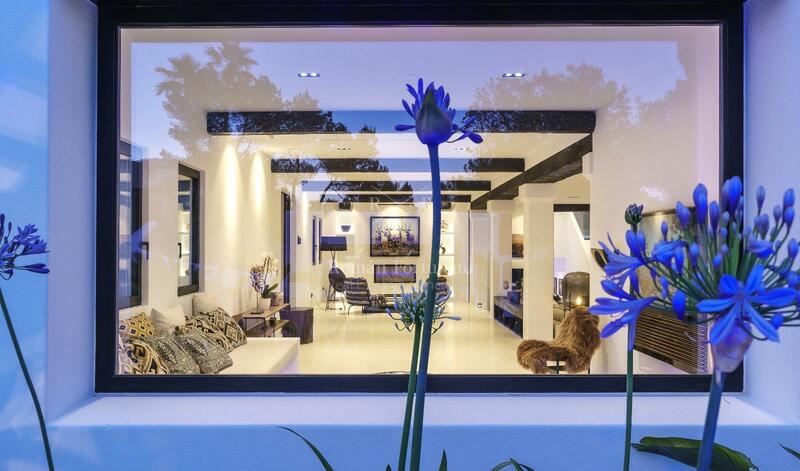 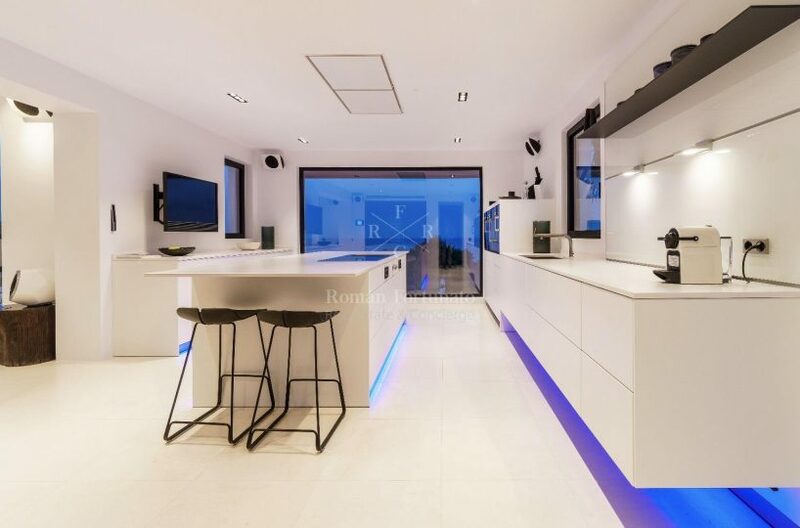 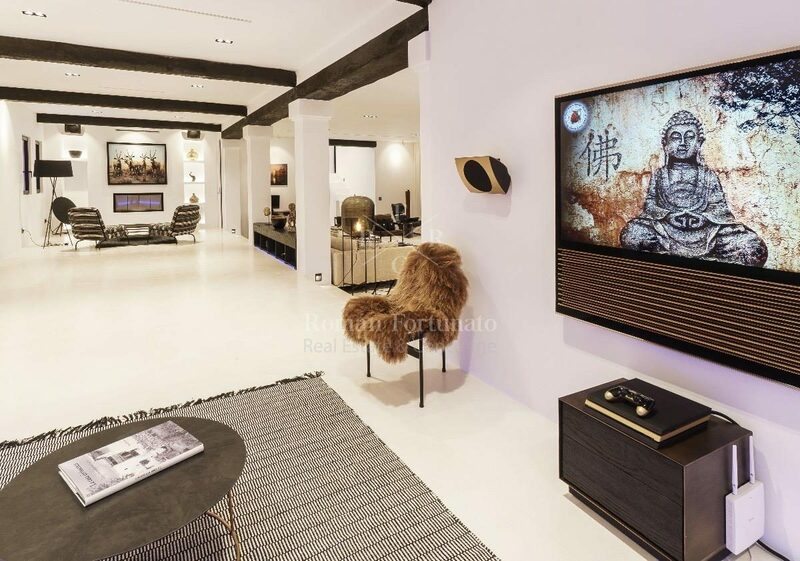 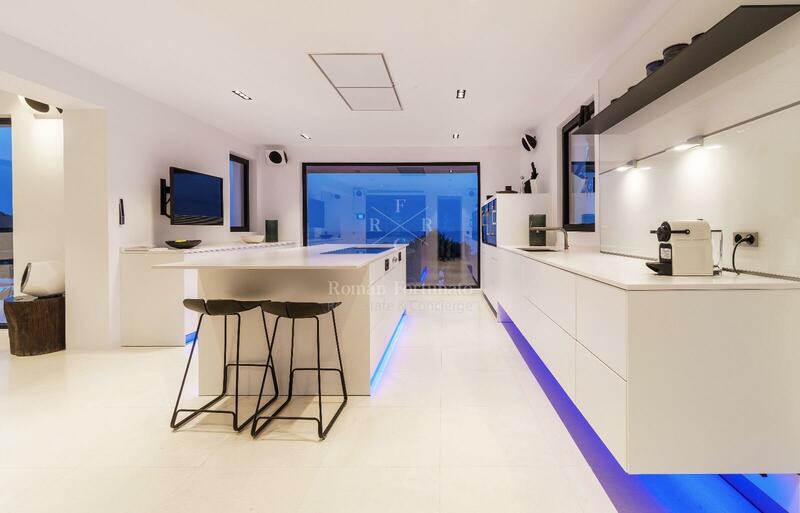 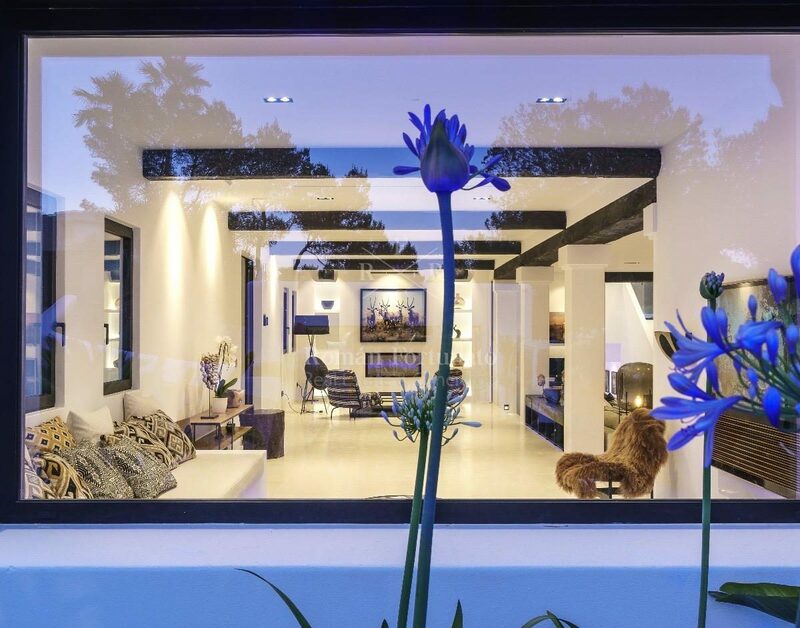 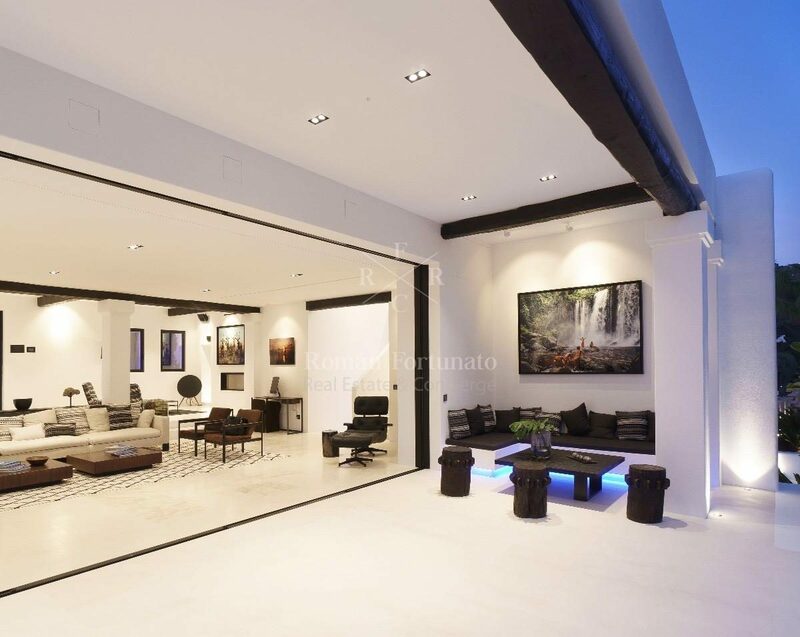 It has 6 bedrooms, a large Bulthaup kitchen and a huge living room. 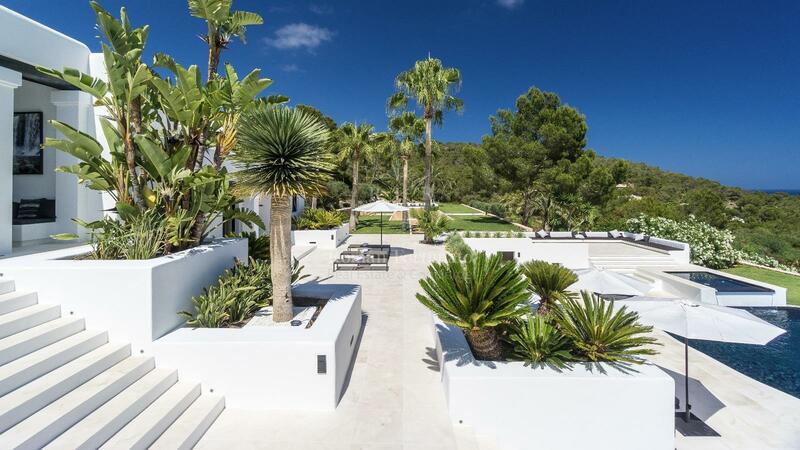 All bedrooms have direct access to the terraces and are of very good size. 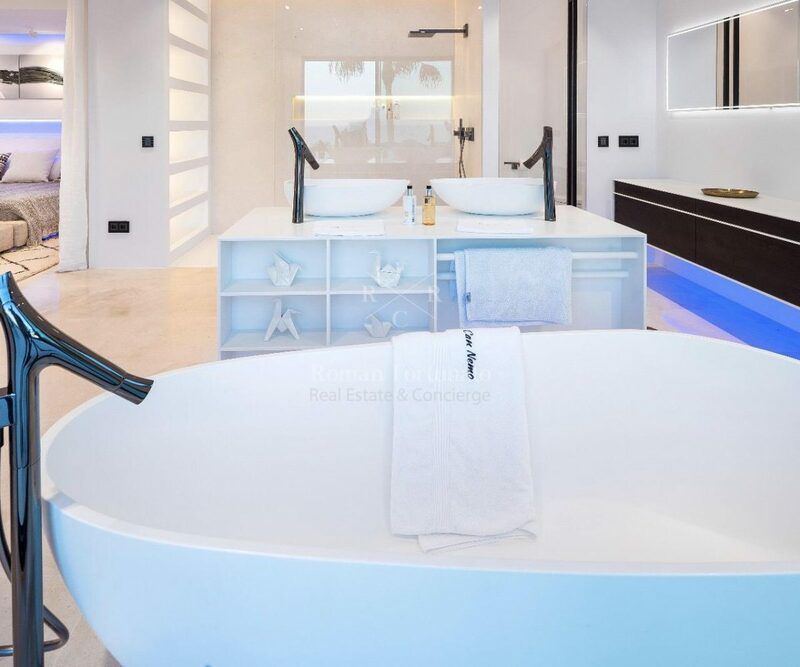 The bedrooms have four en-suite bathrooms and one share bathroom. 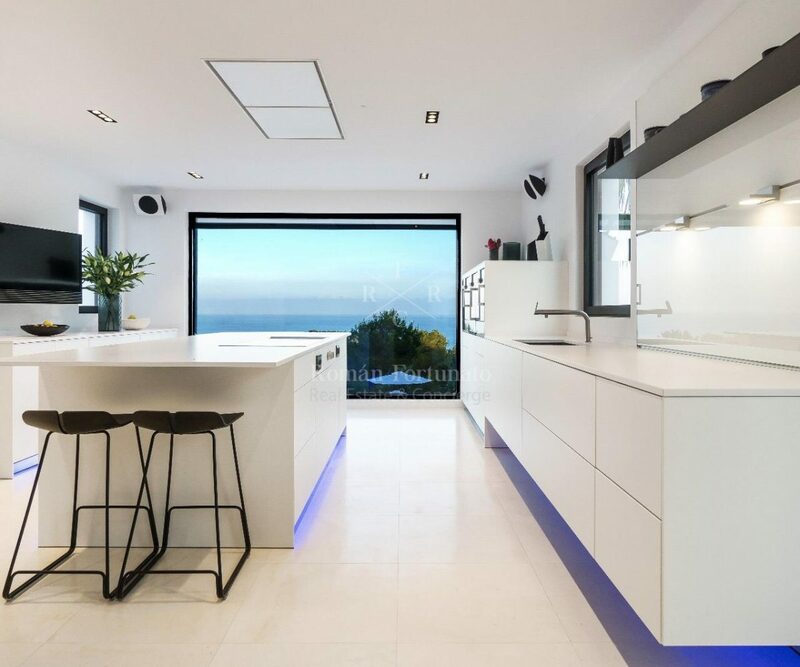 Kitchen: large Bulthaup kitchen of 40 sqm. 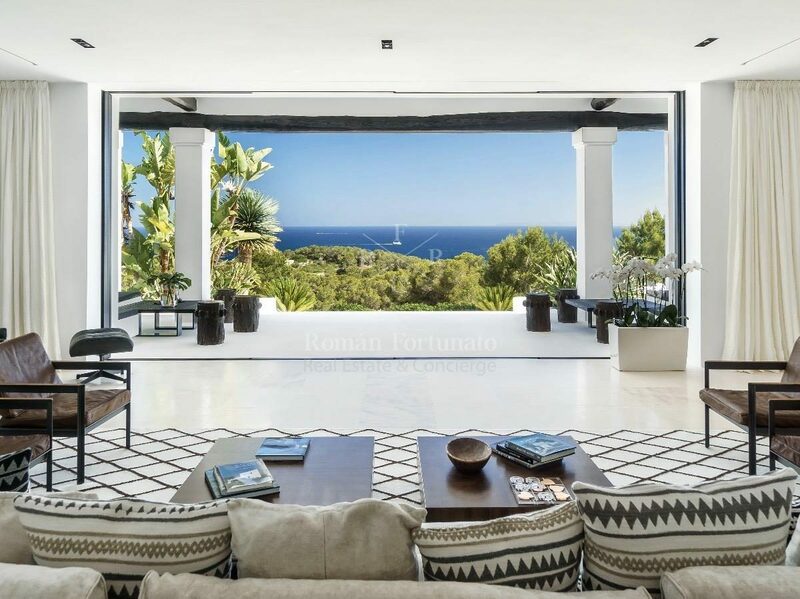 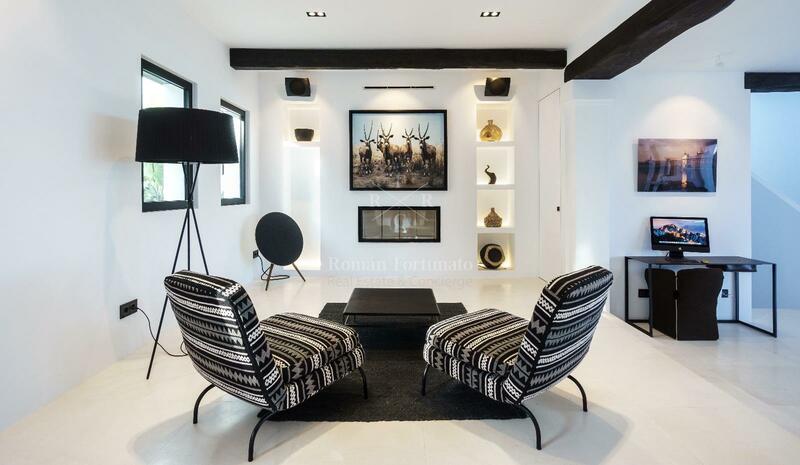 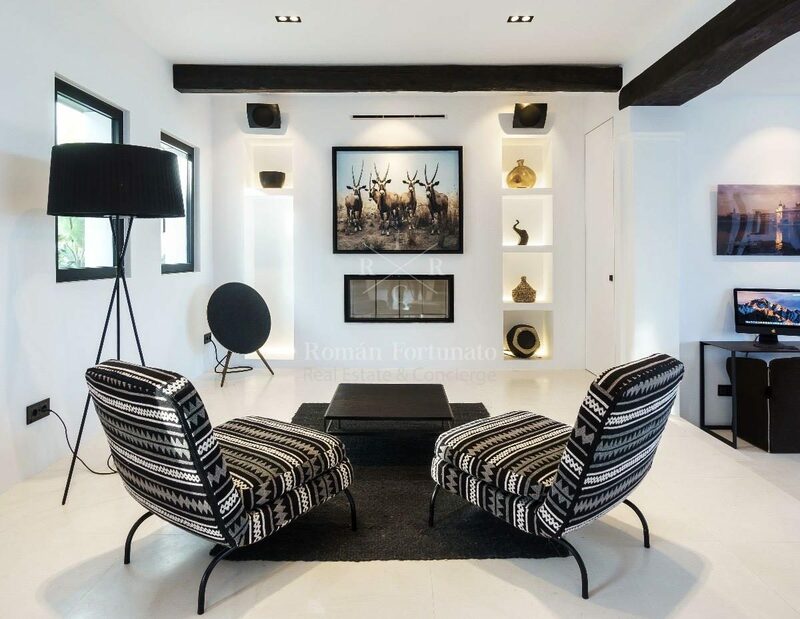 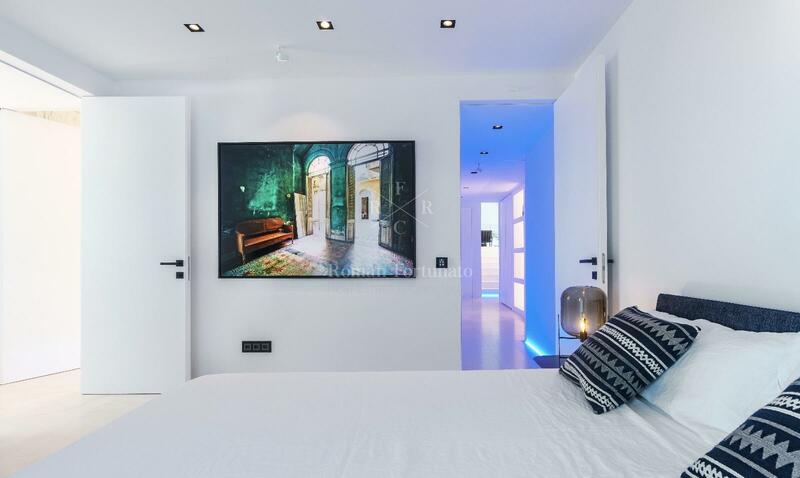 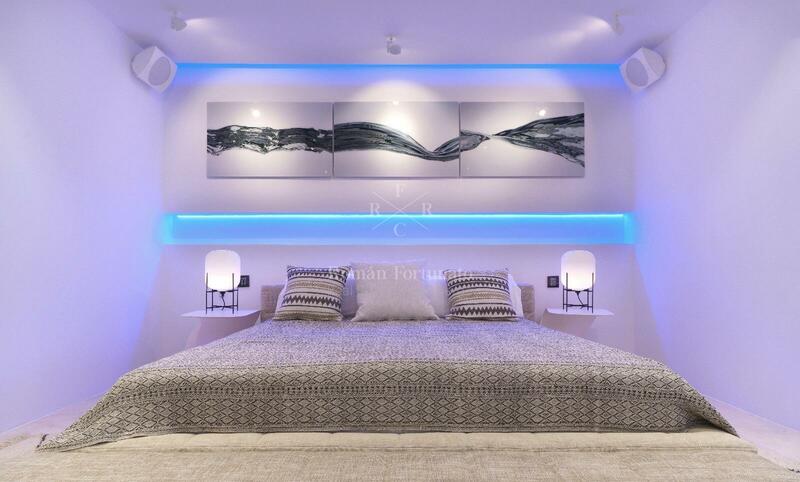 Living room: total of 120 sqm, large windows with access to a covered terrace, featurung a magnificent sea views to Formentera. 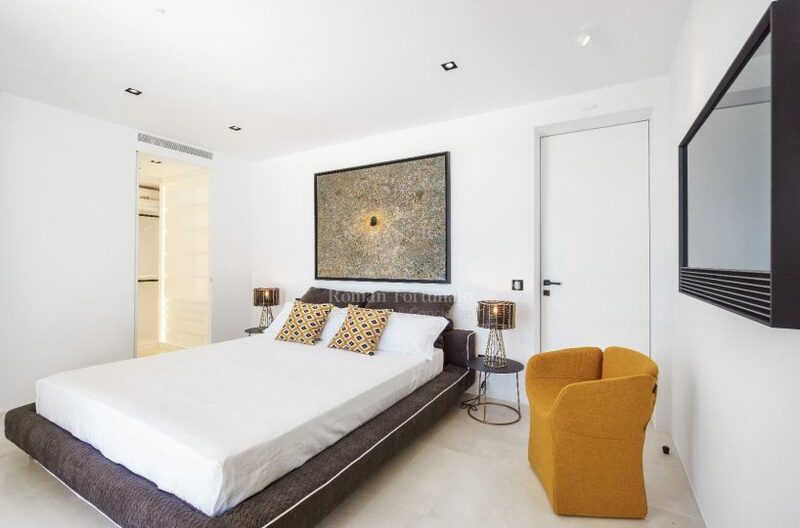 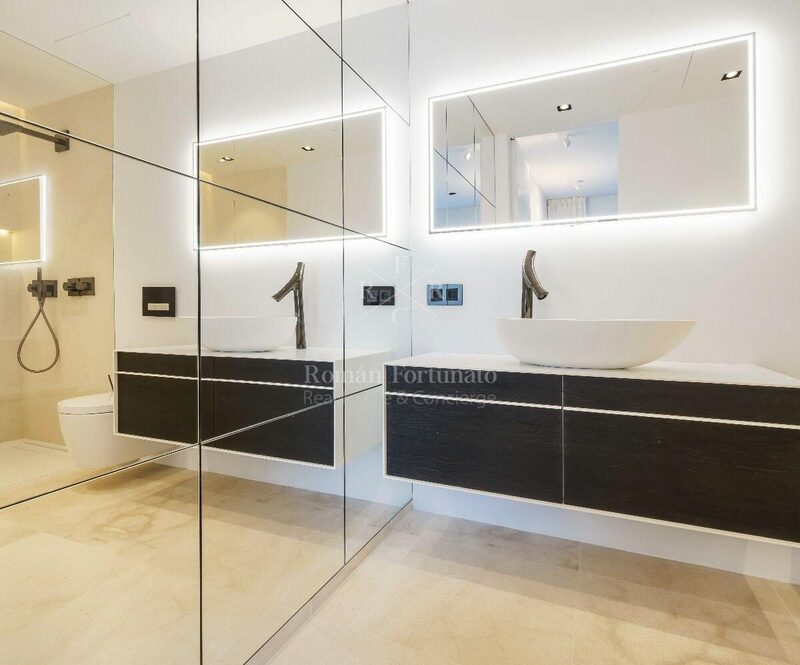 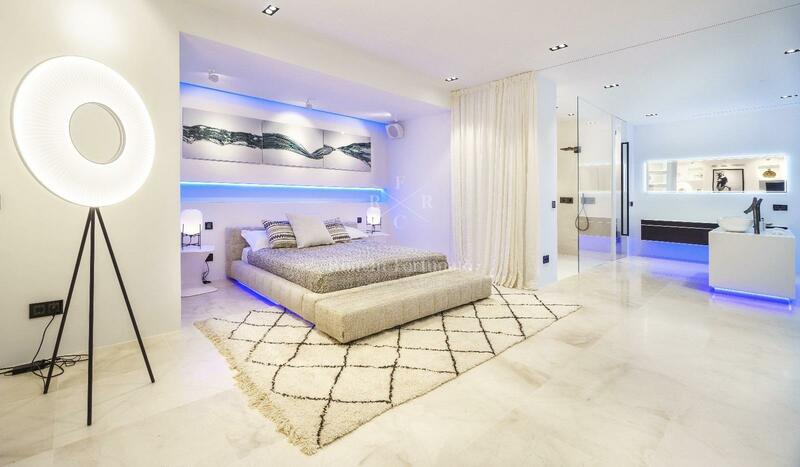 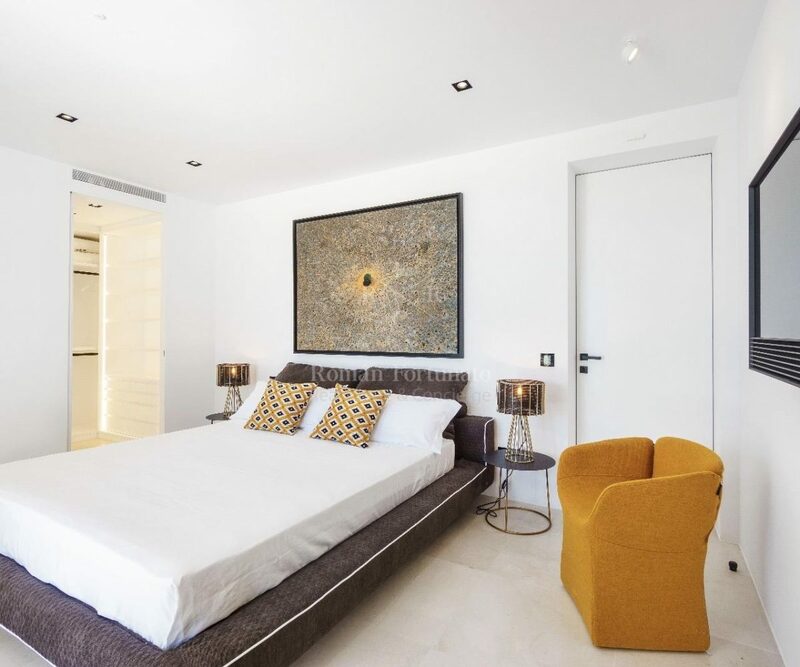 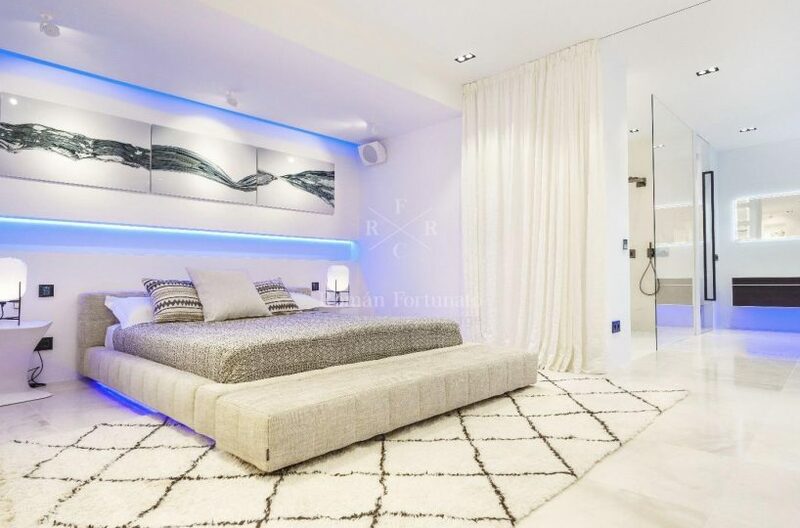 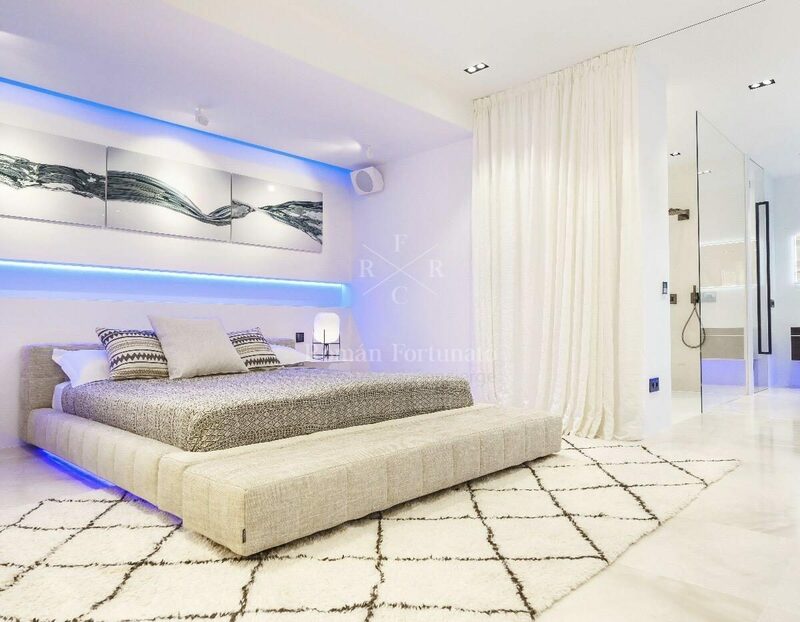 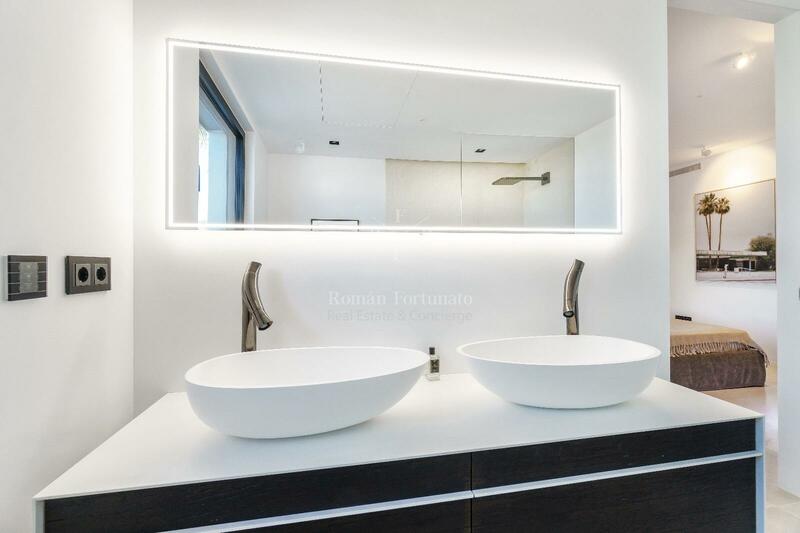 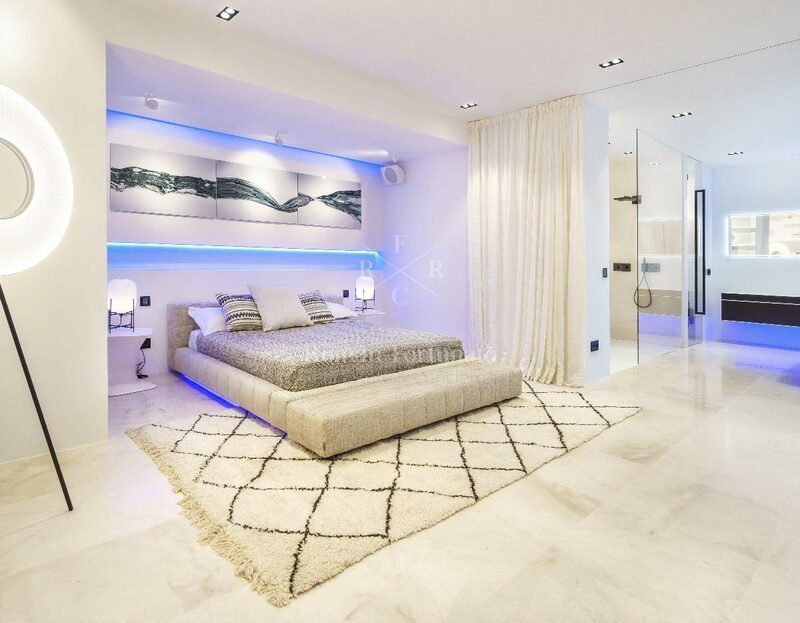 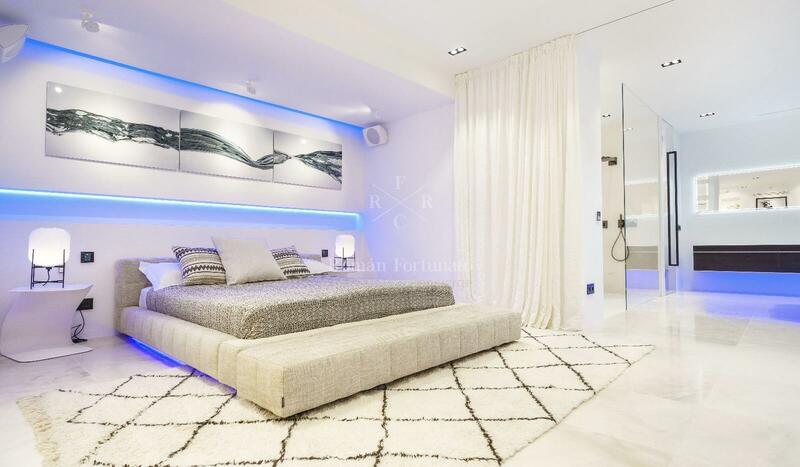 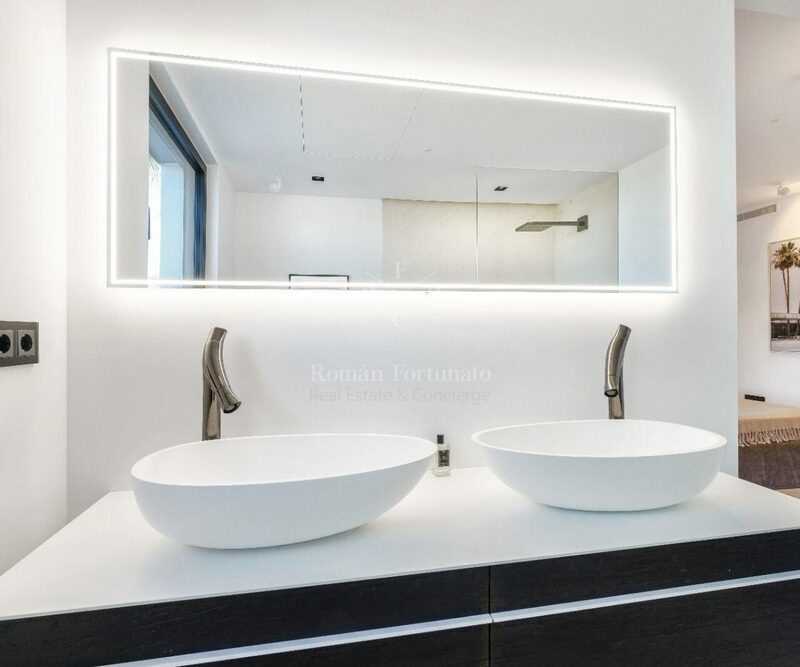 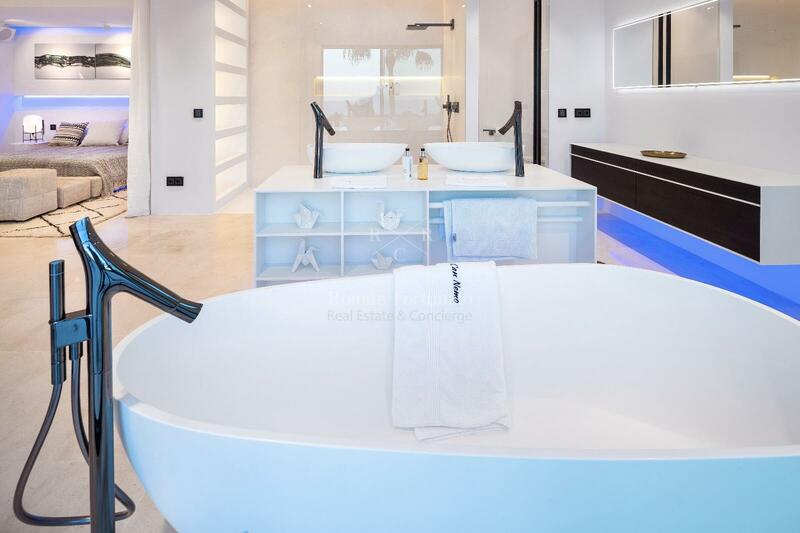 Master bedroom: 40 sqm with stunning view to Fromentera, a large walk-in dressing room and a large en-suite bathroom of 25 sqm. 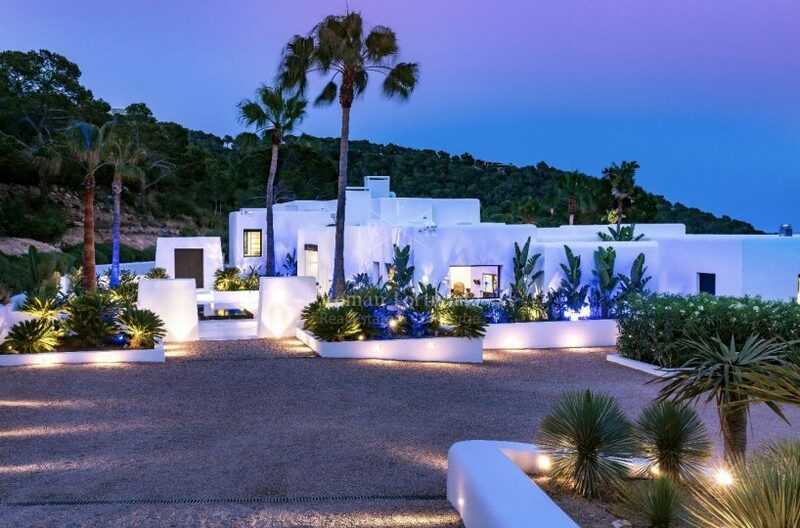 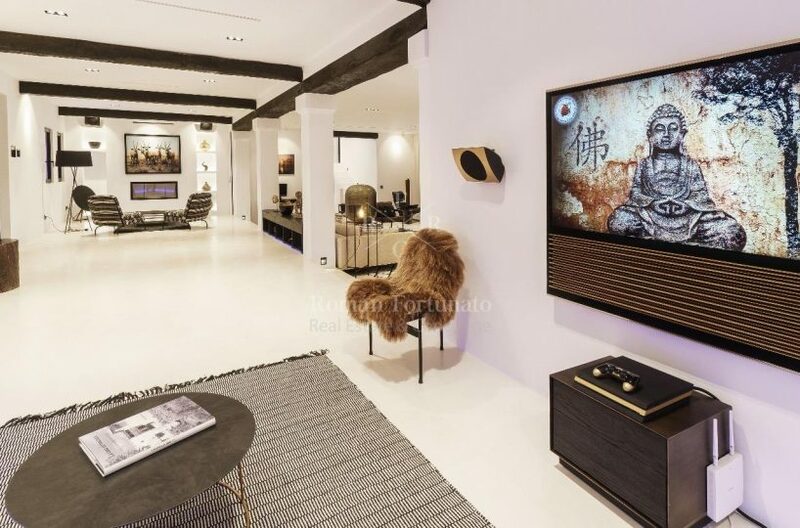 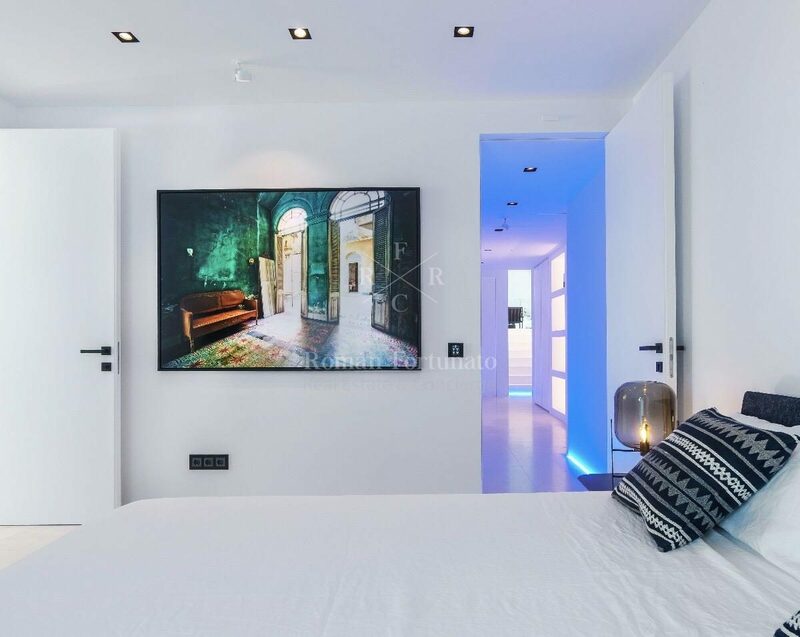 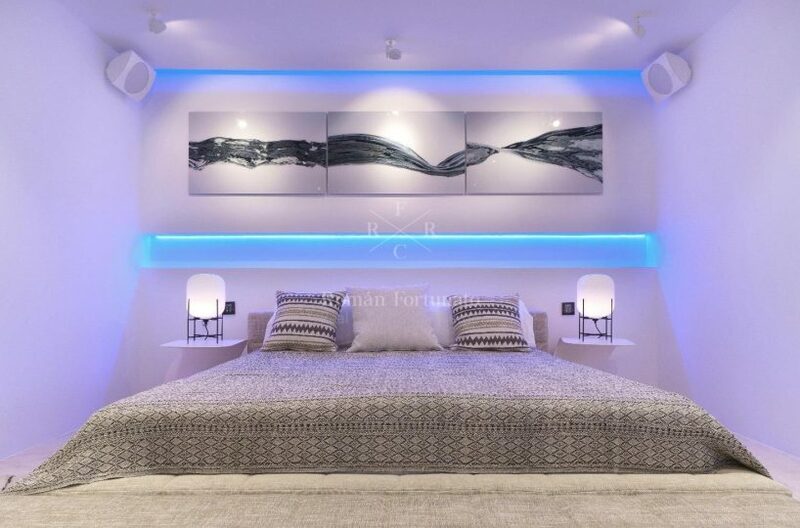 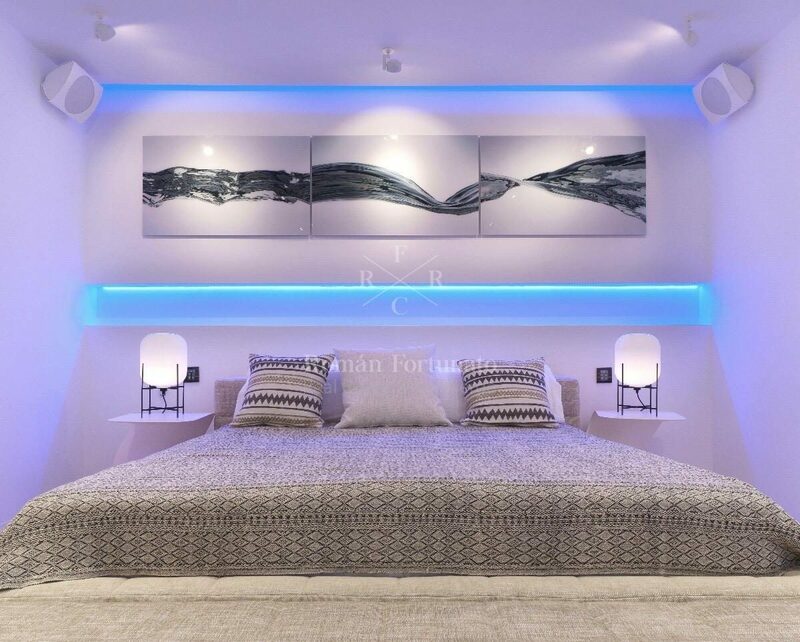 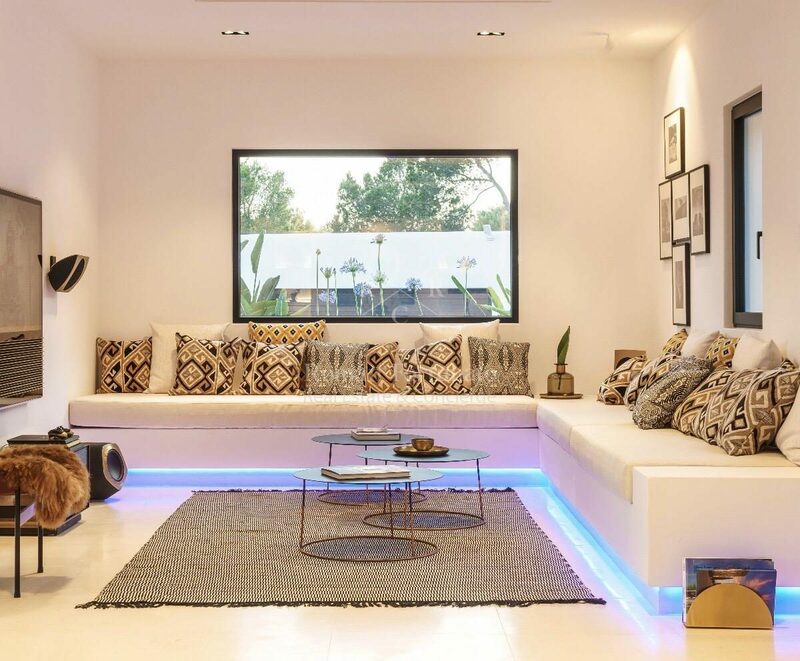 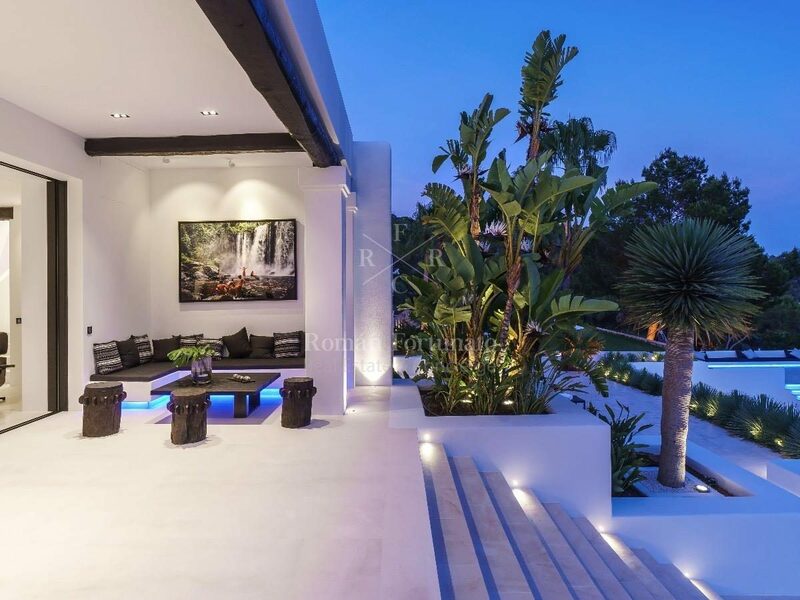 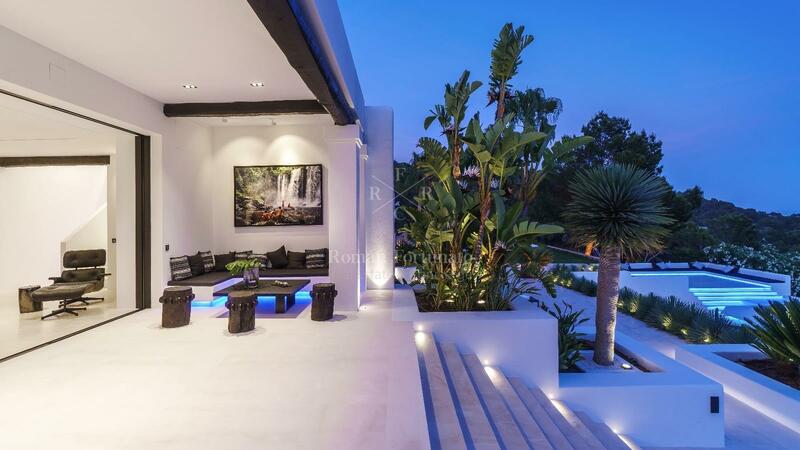 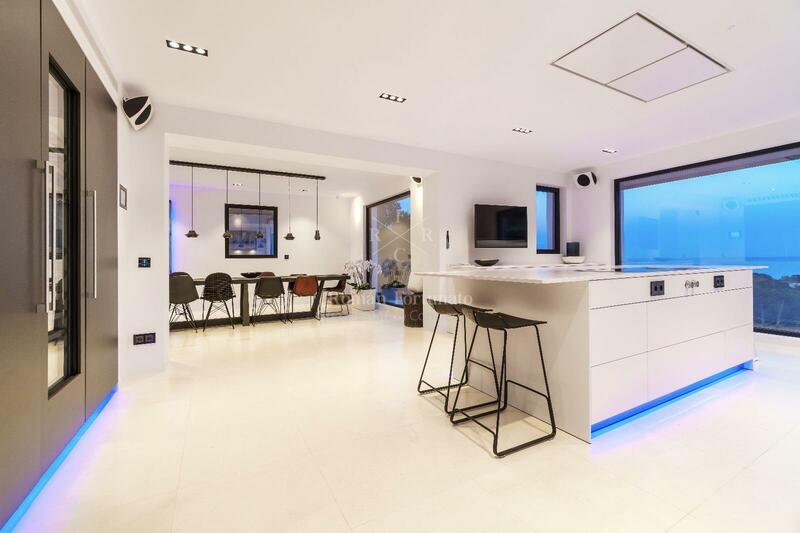 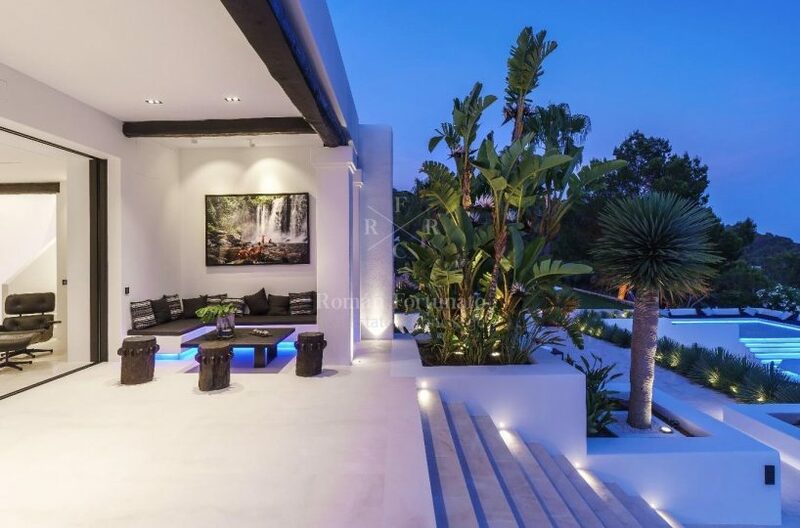 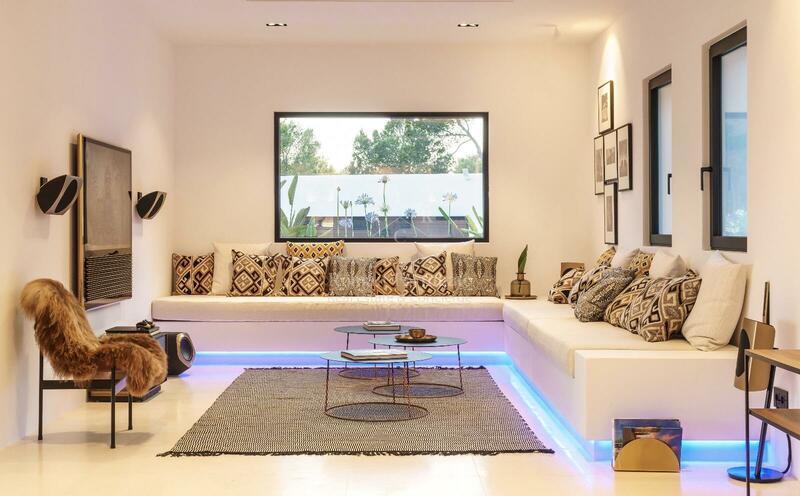 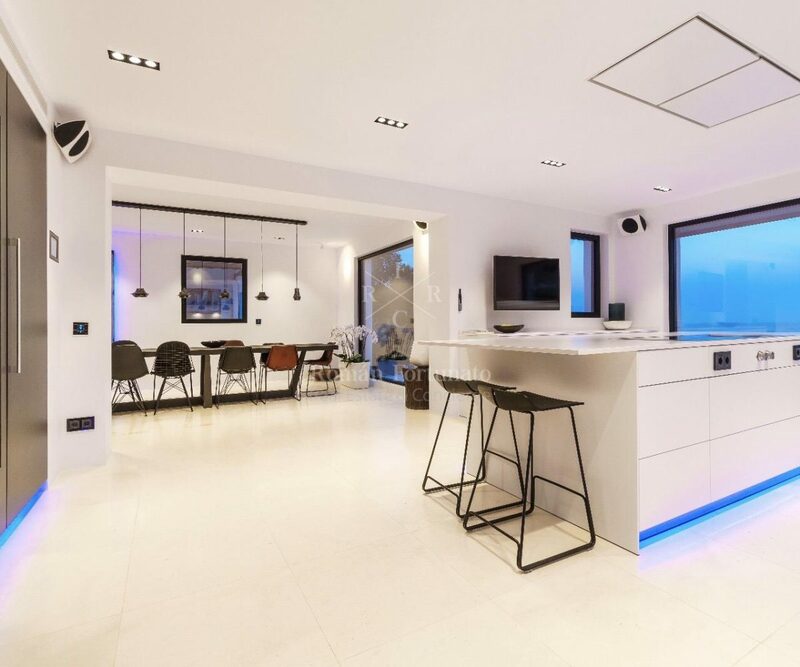 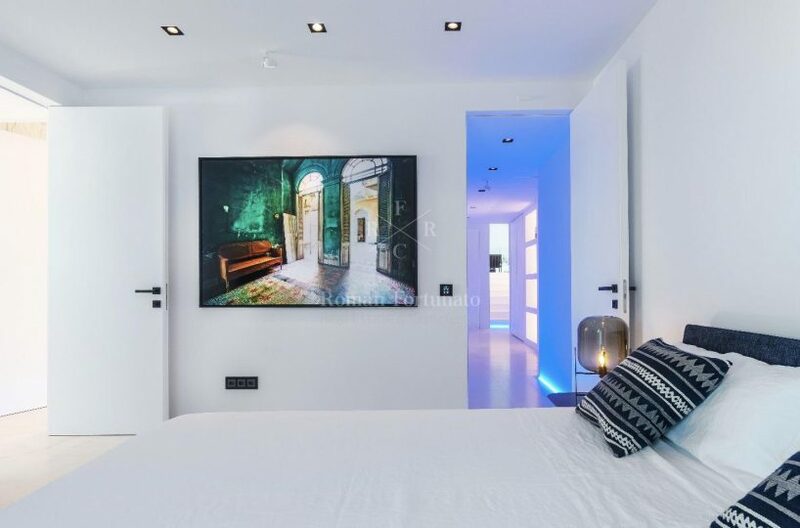 Using a cutting-edge home automation system the alarm system and all the outside lighting can be manged from anywhewre in the house with an iPhone or iPad and can also be fully accessed when you are away from the villa. 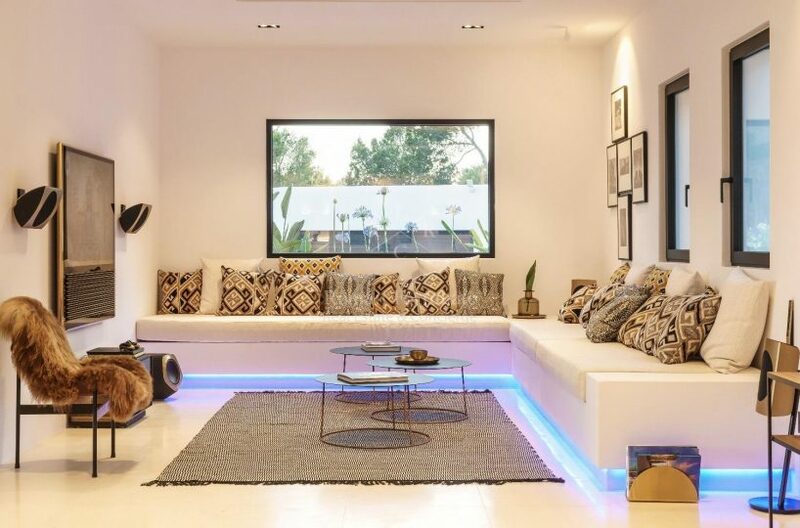 This house is totally renovate this year.